Oh dear! 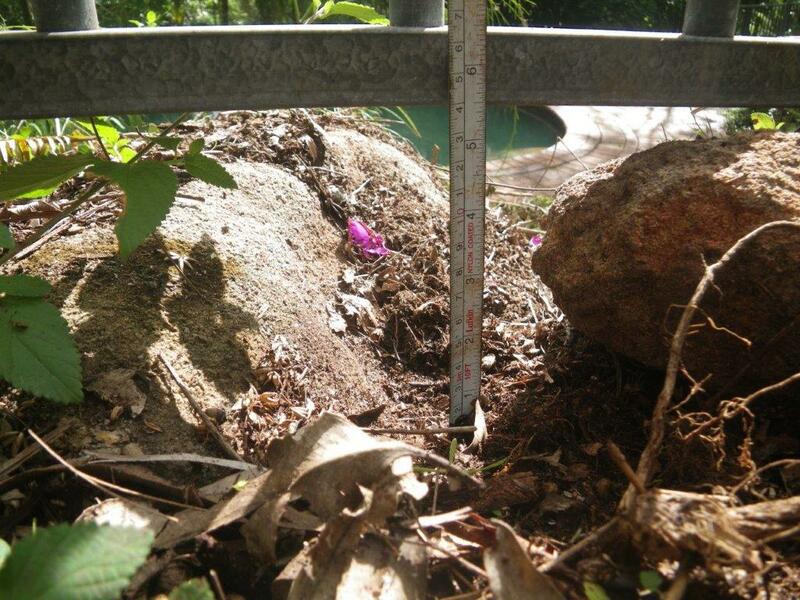 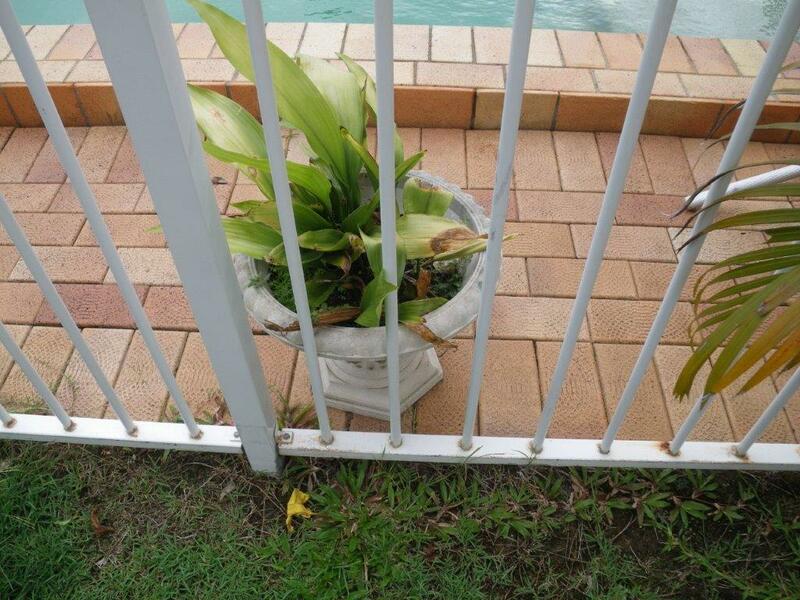 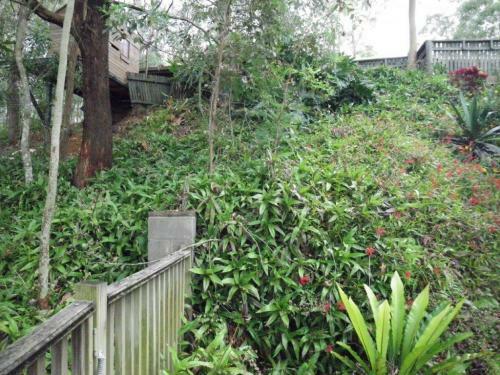 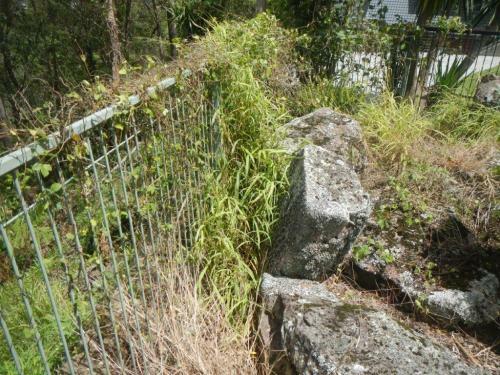 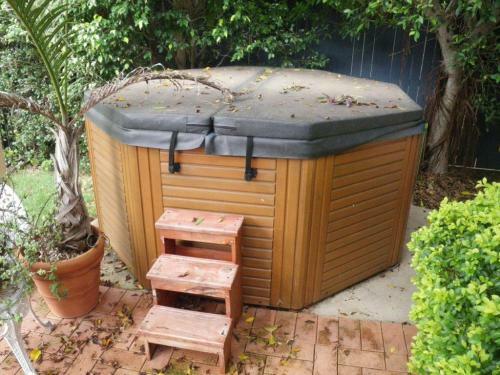 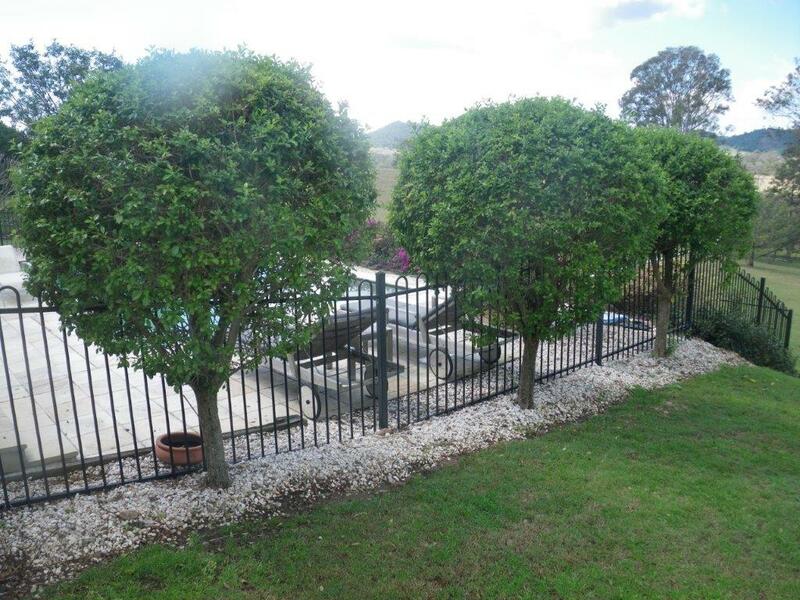 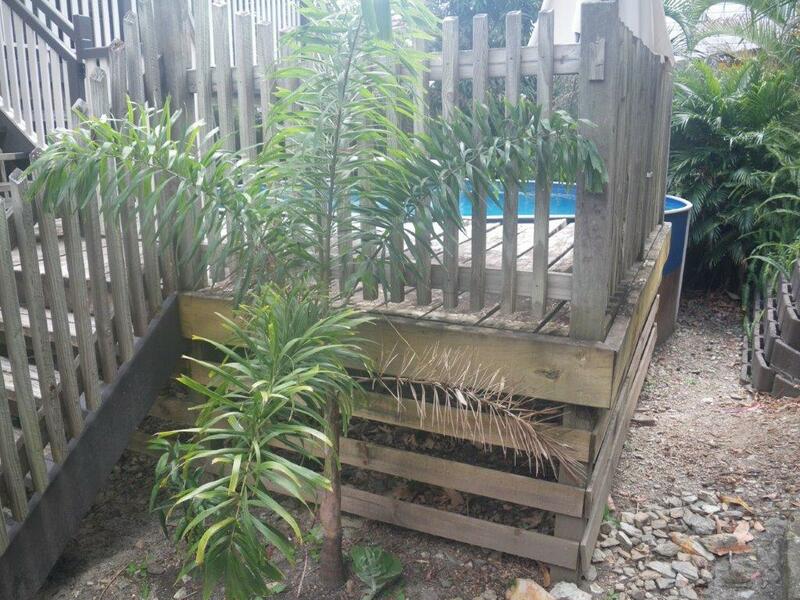 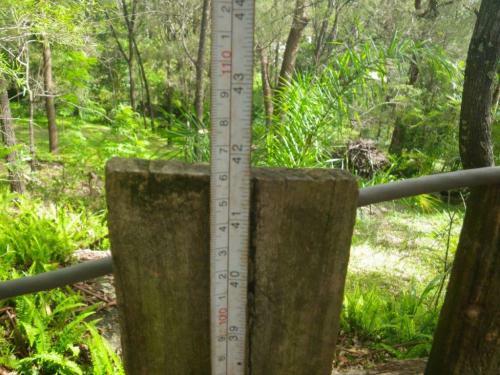 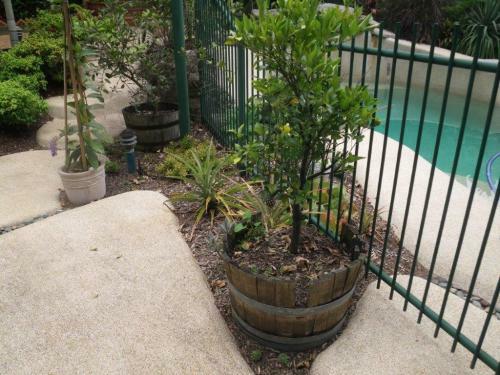 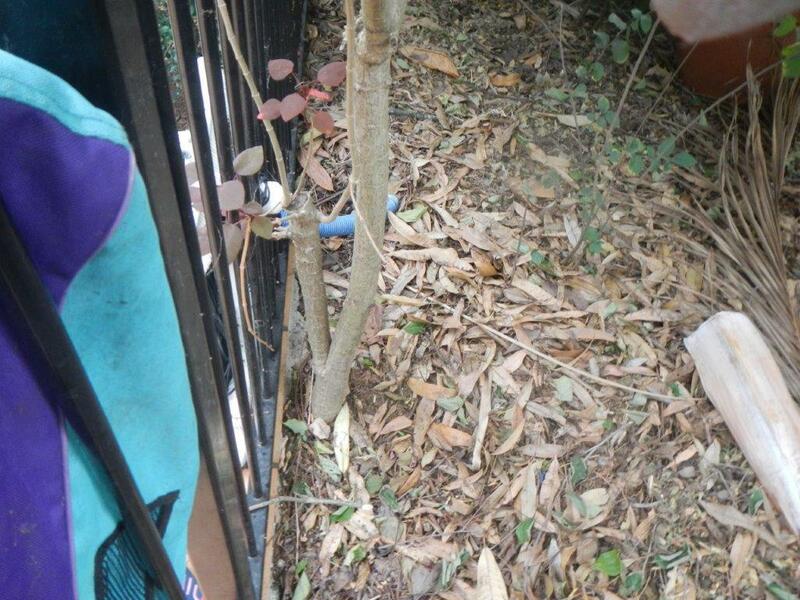 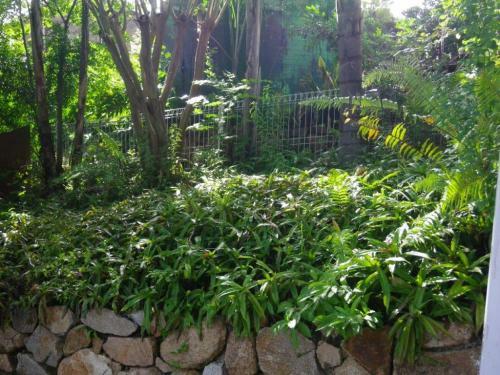 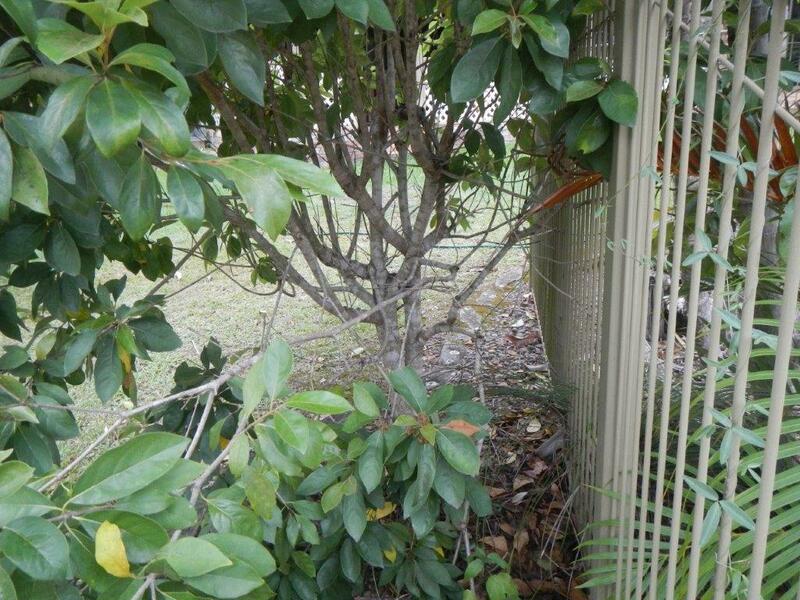 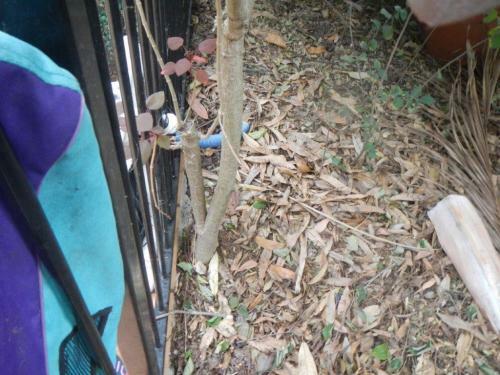 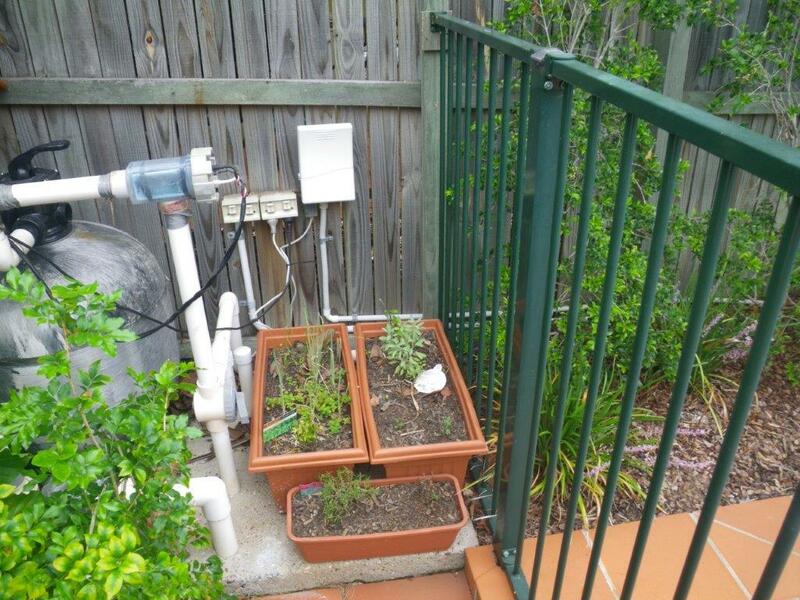 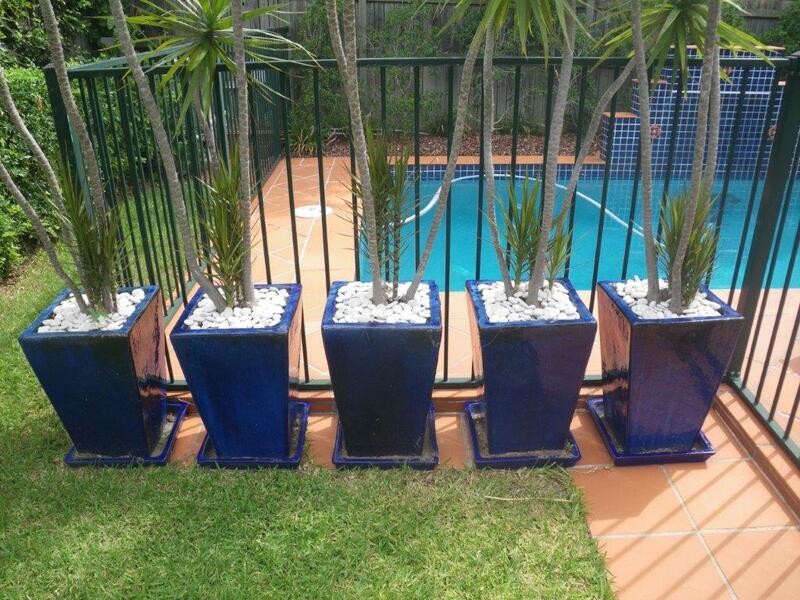 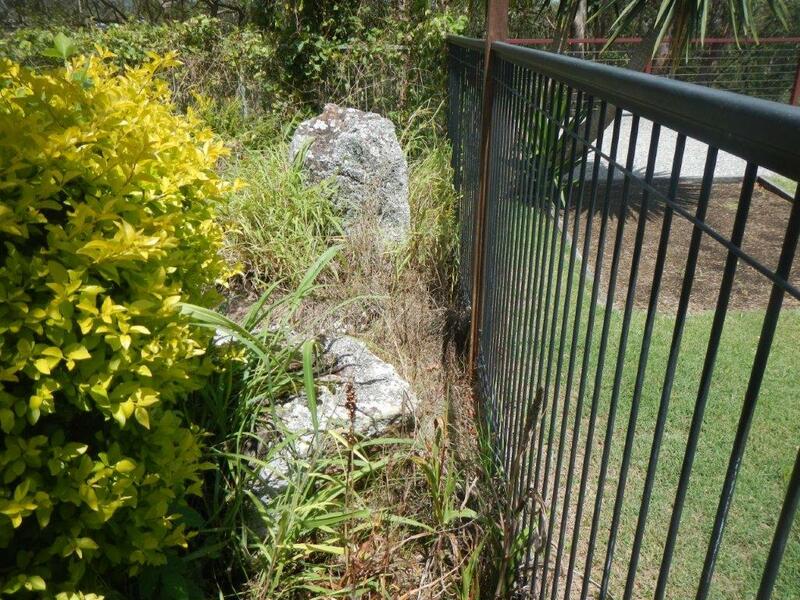 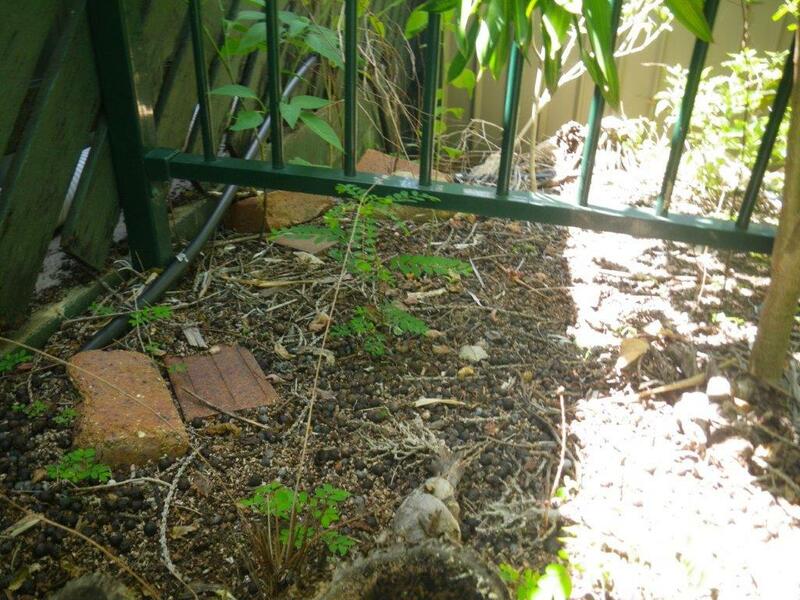 – 5 pots plant next to pool fence – which one will I use to climb fence? 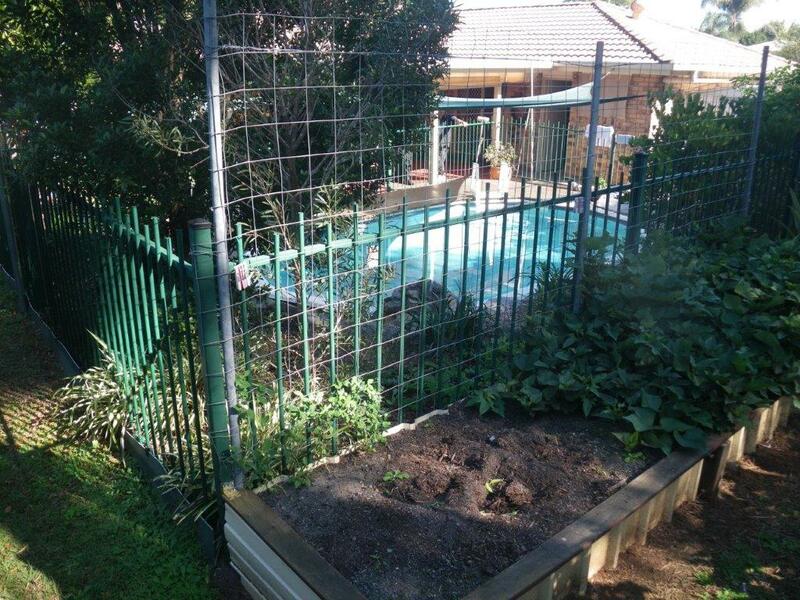 How many climbable objects can one place next to a pool fence? 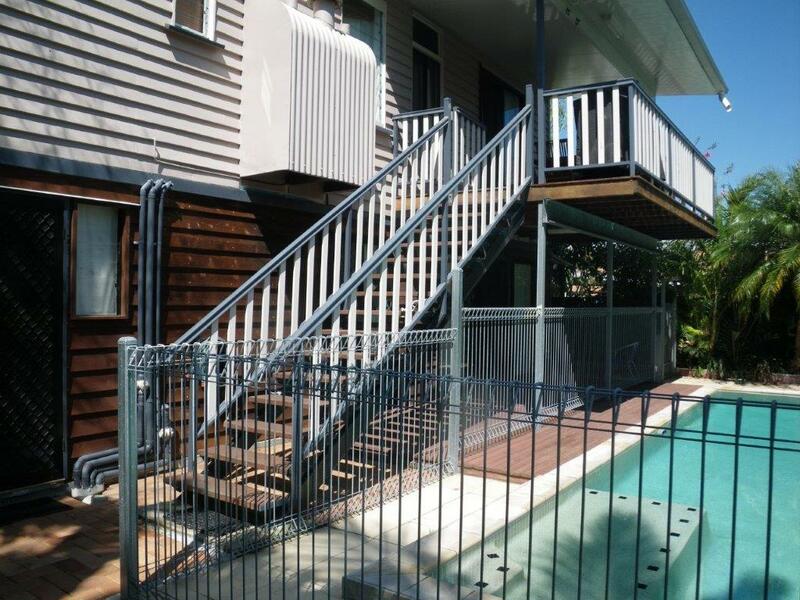 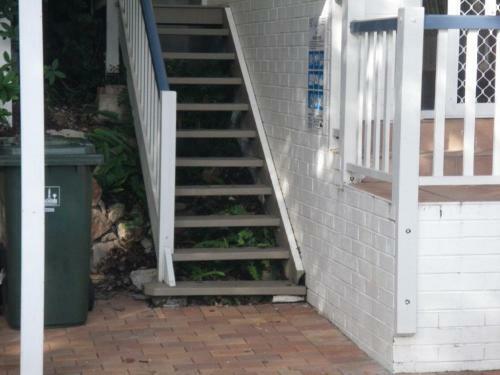 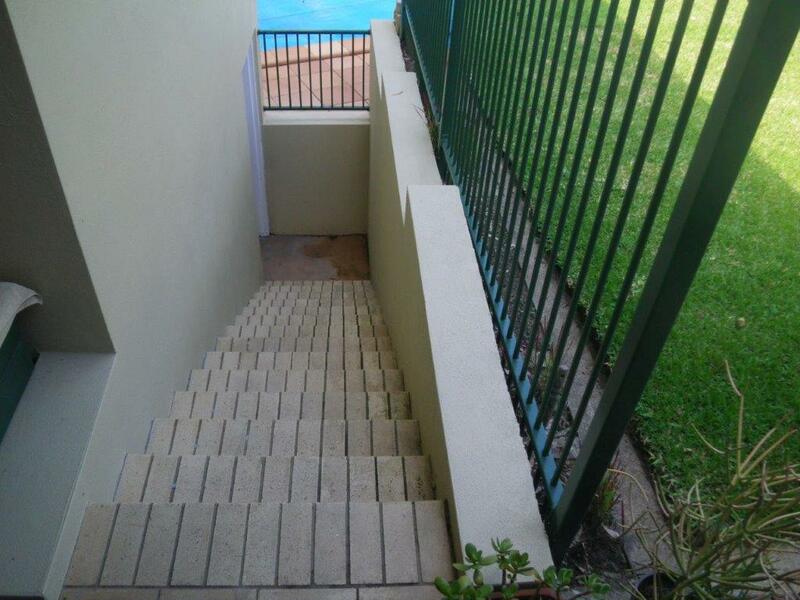 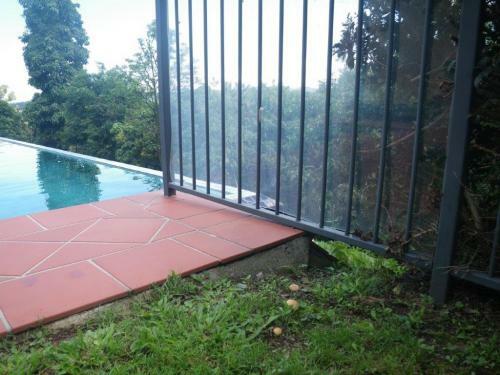 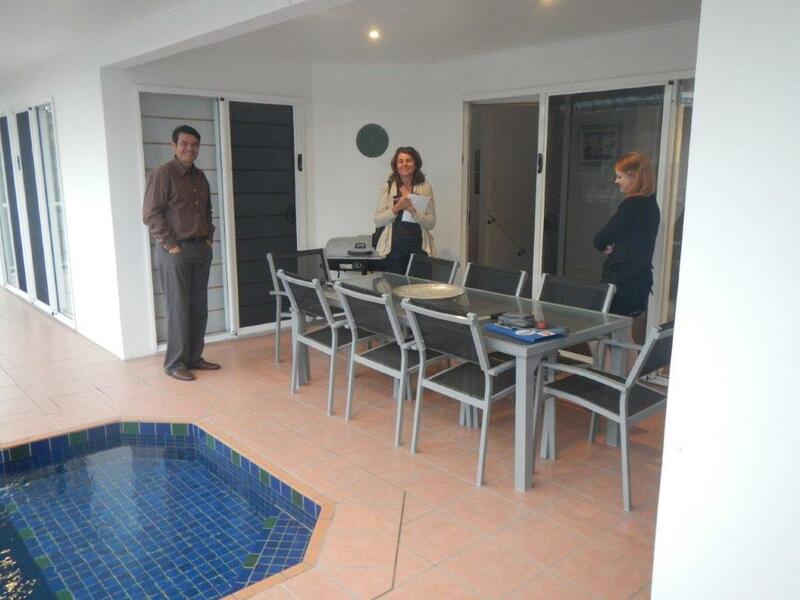 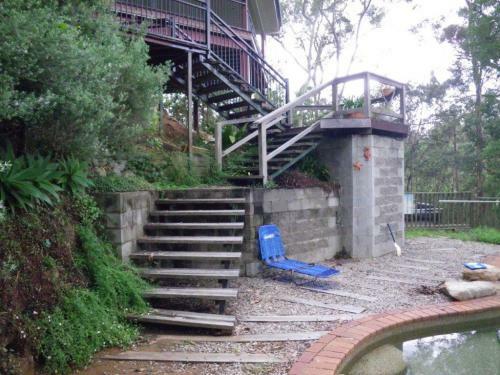 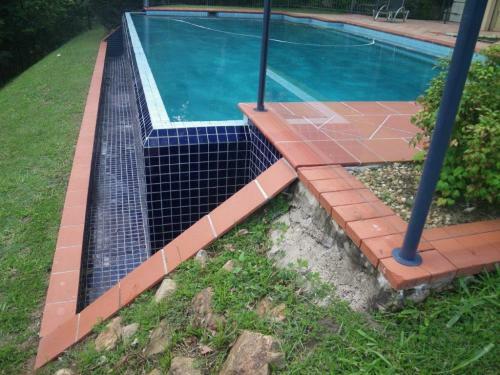 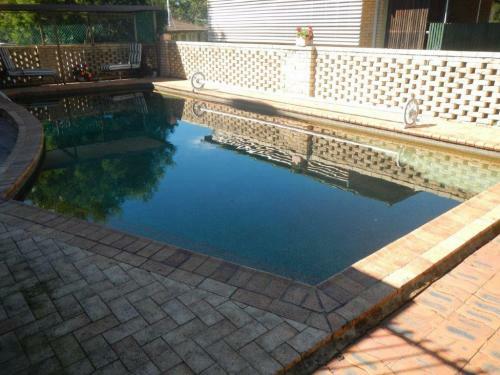 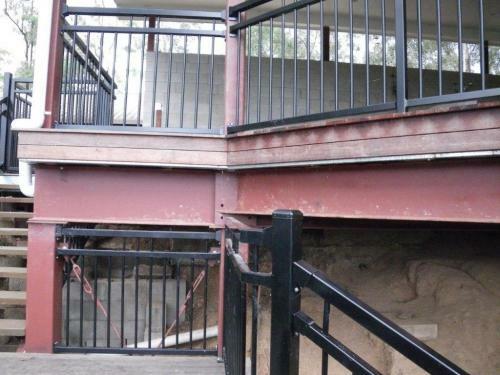 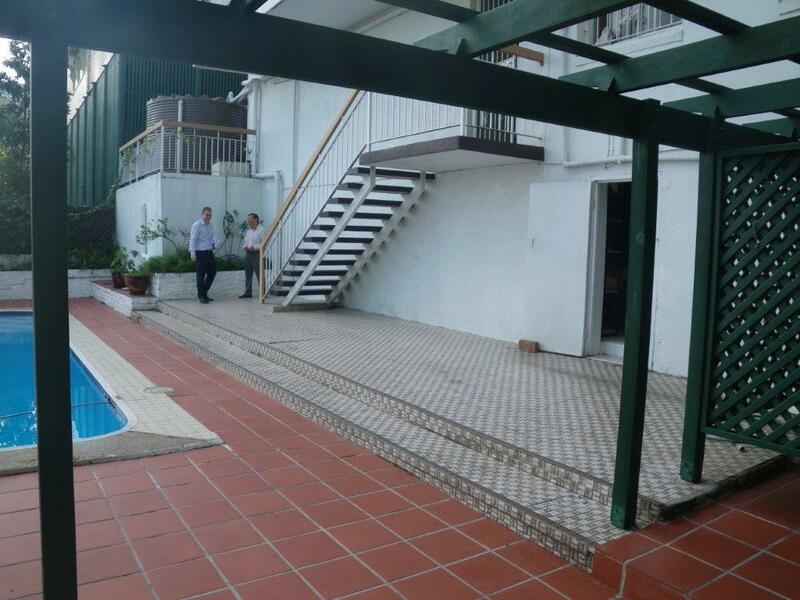 Anyone for brick steps to get into a pool area! 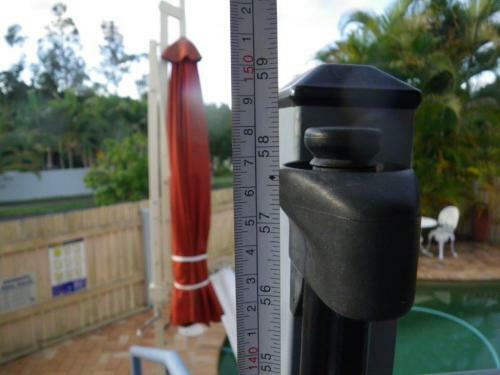 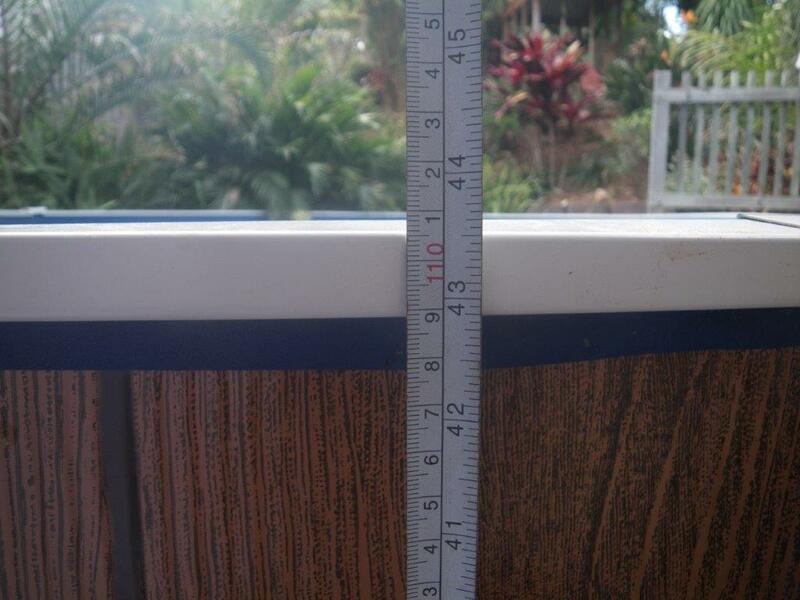 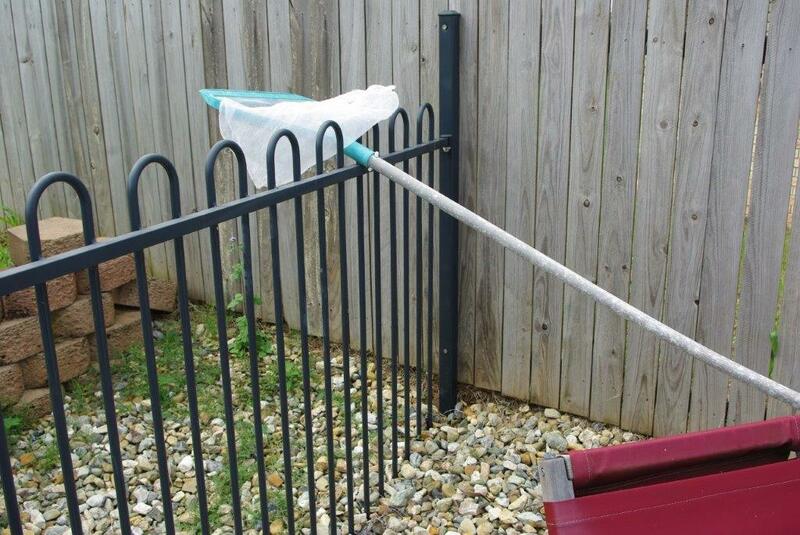 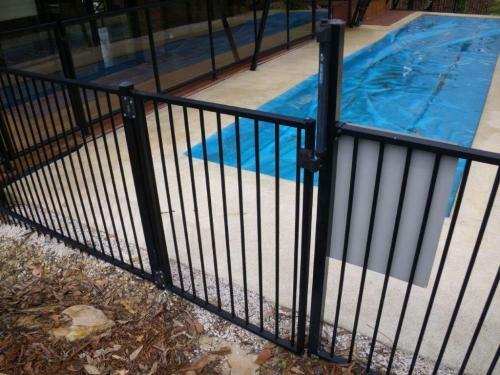 Pool fence! 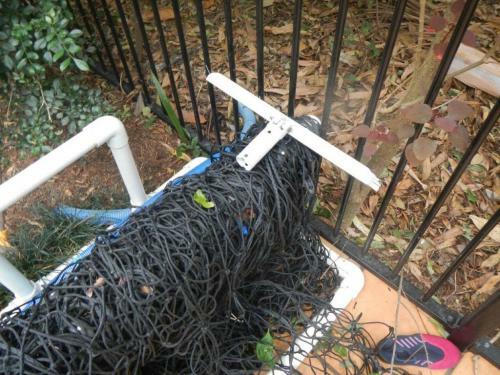 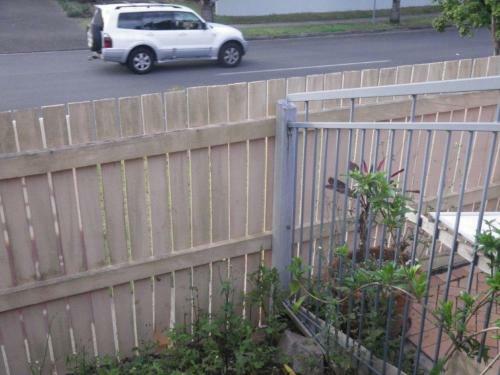 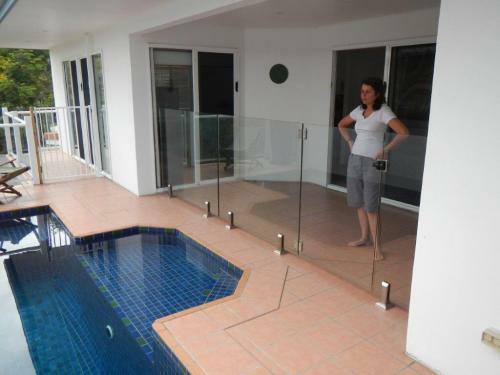 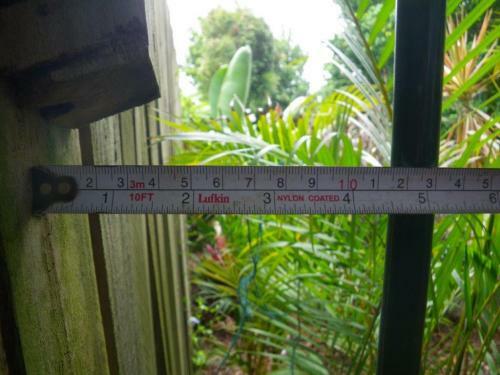 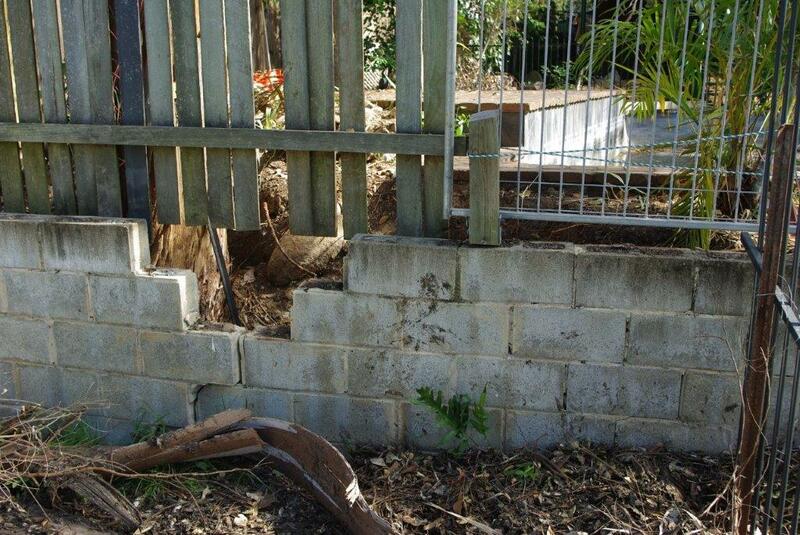 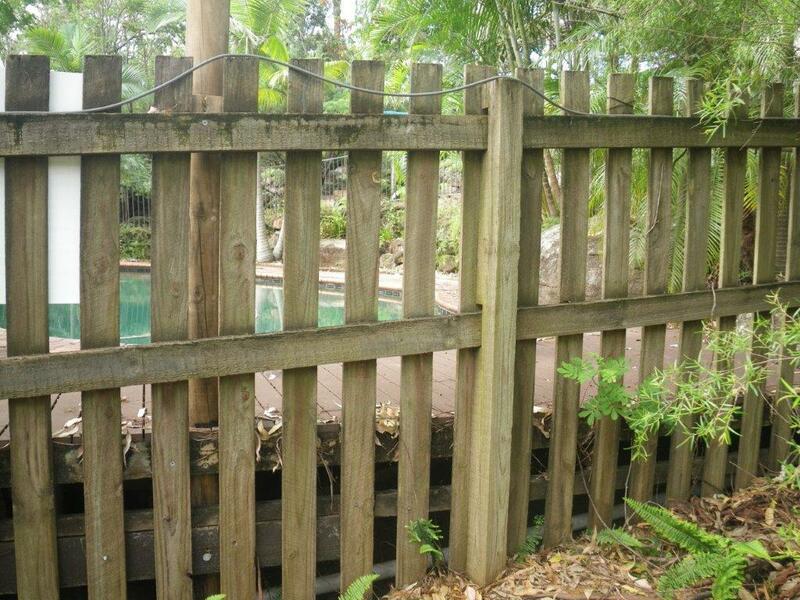 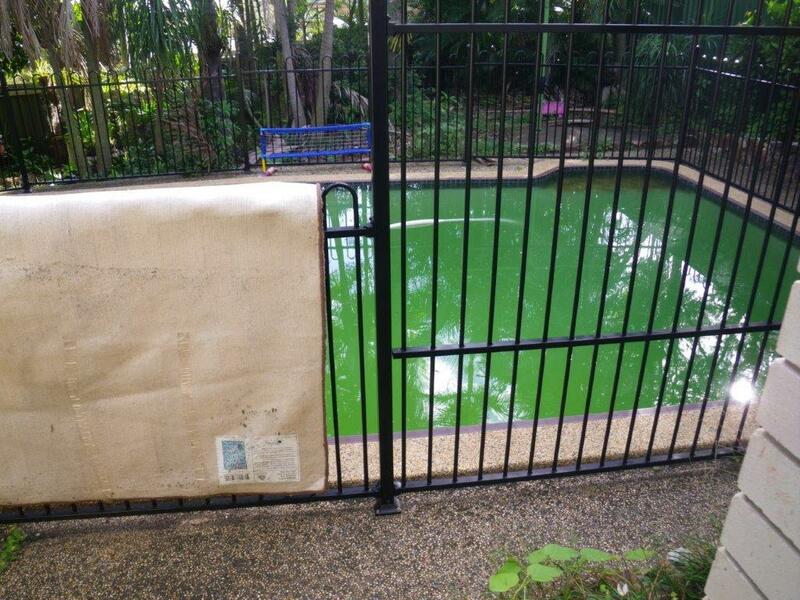 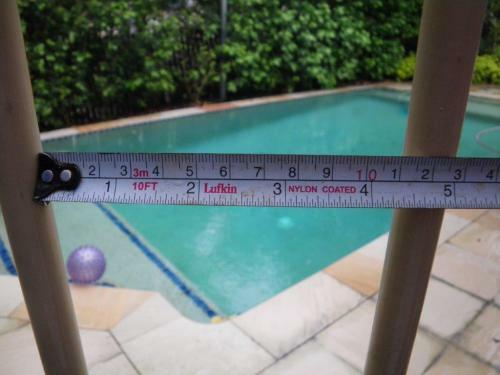 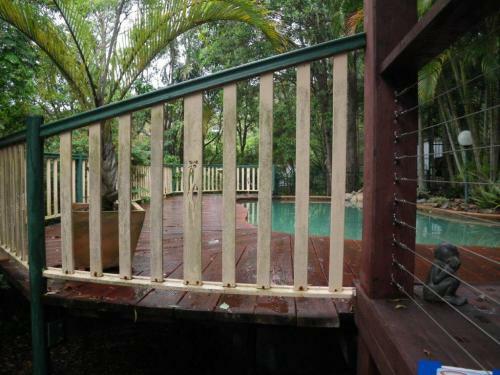 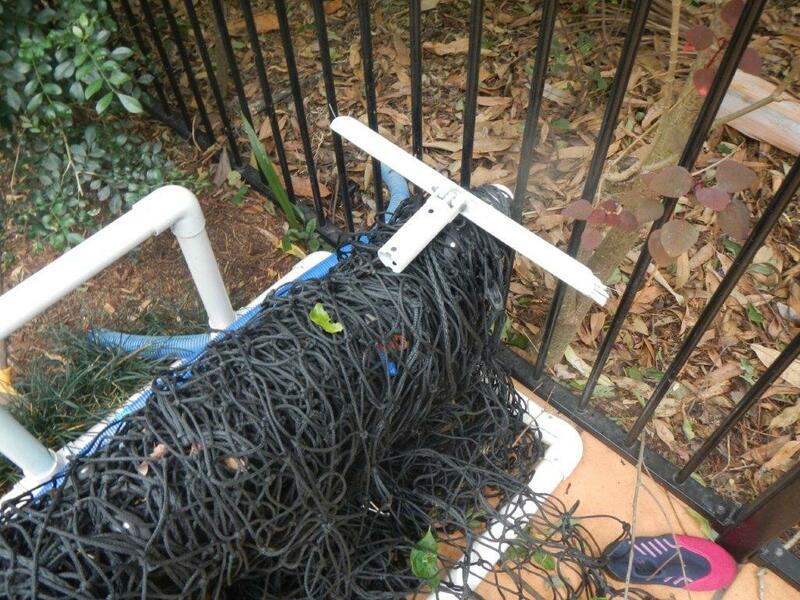 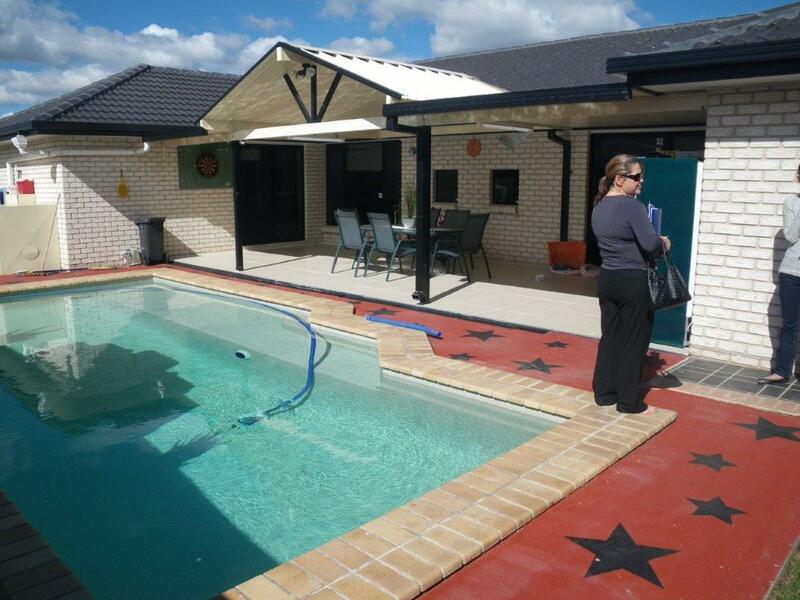 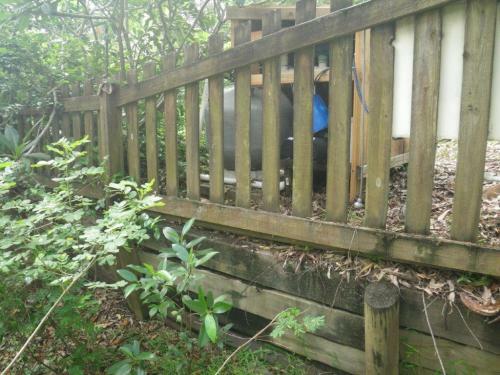 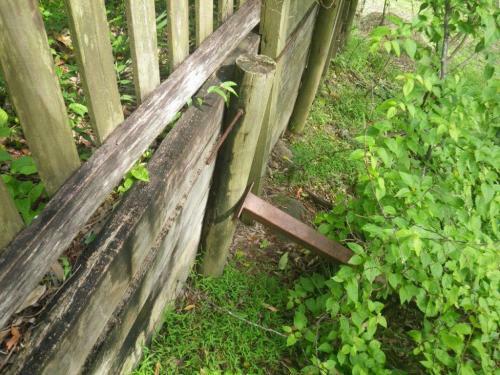 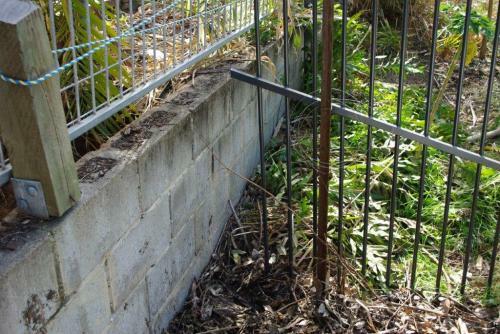 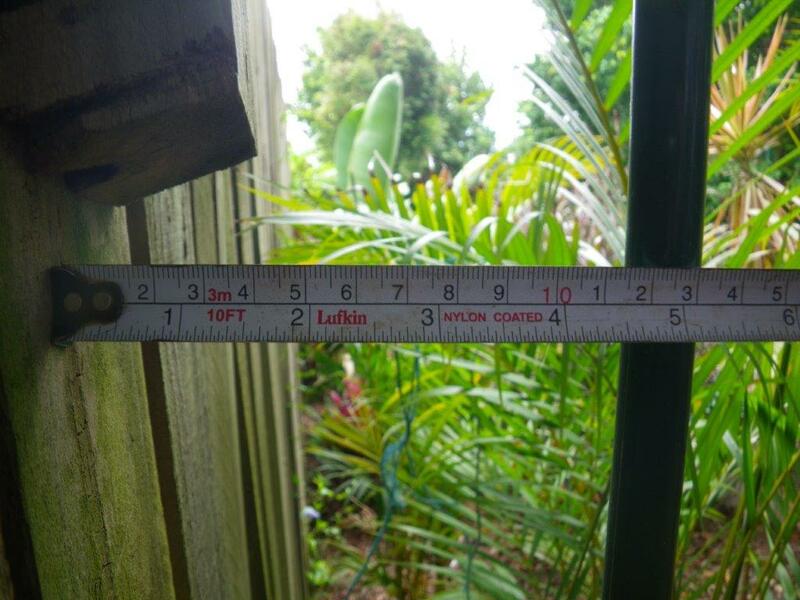 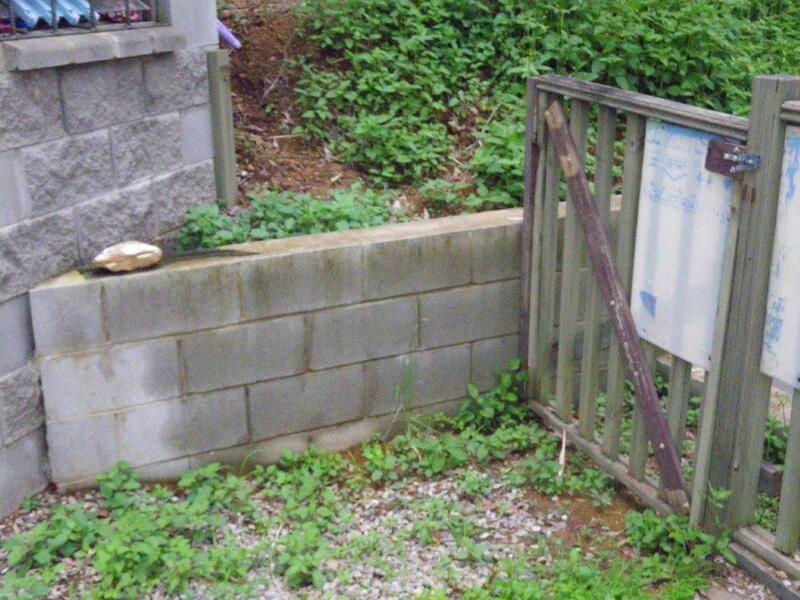 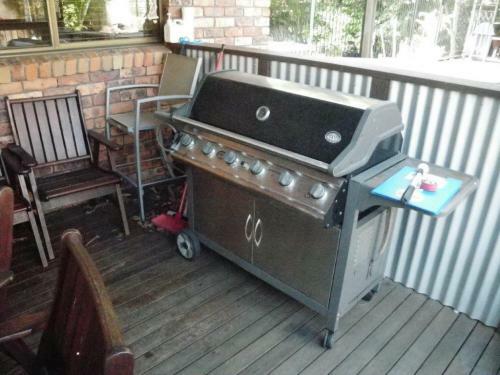 – What pool fence? What’s going on here? 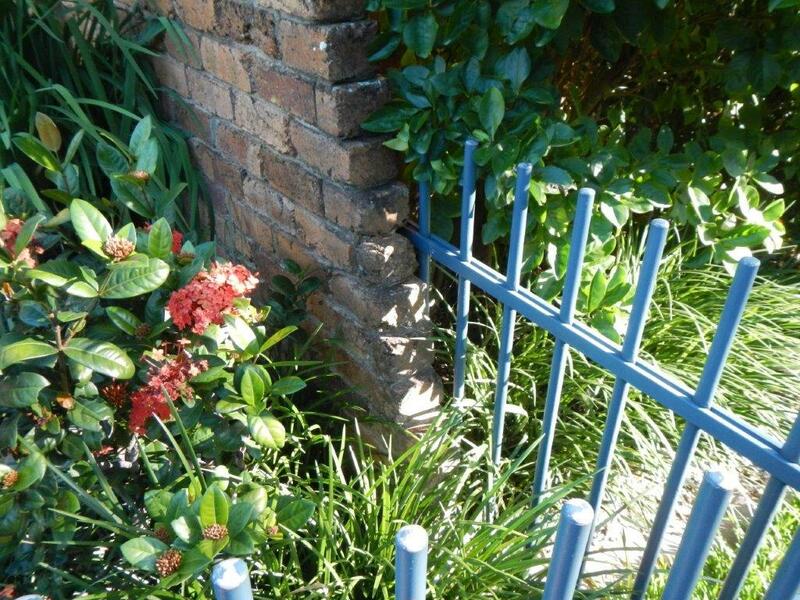 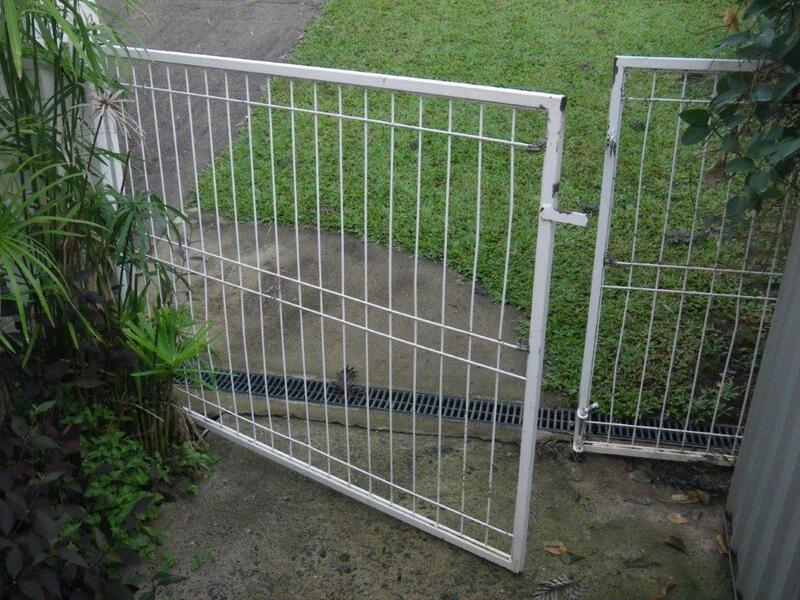 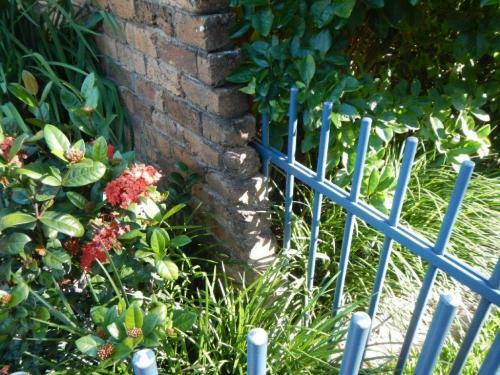 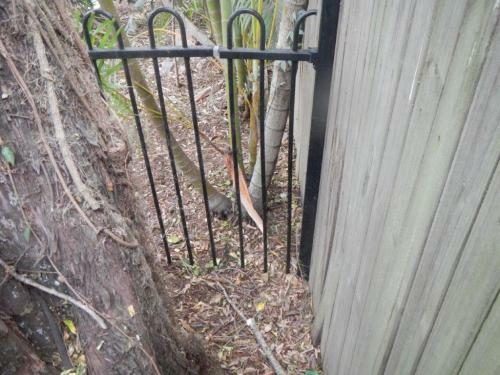 Fence to nowhere! 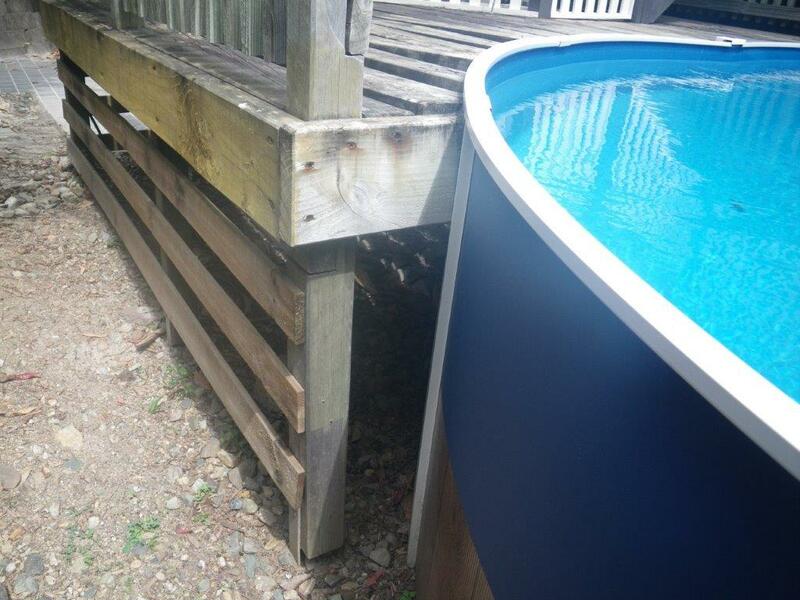 1, 2, 3, up & over & we are in the pool! 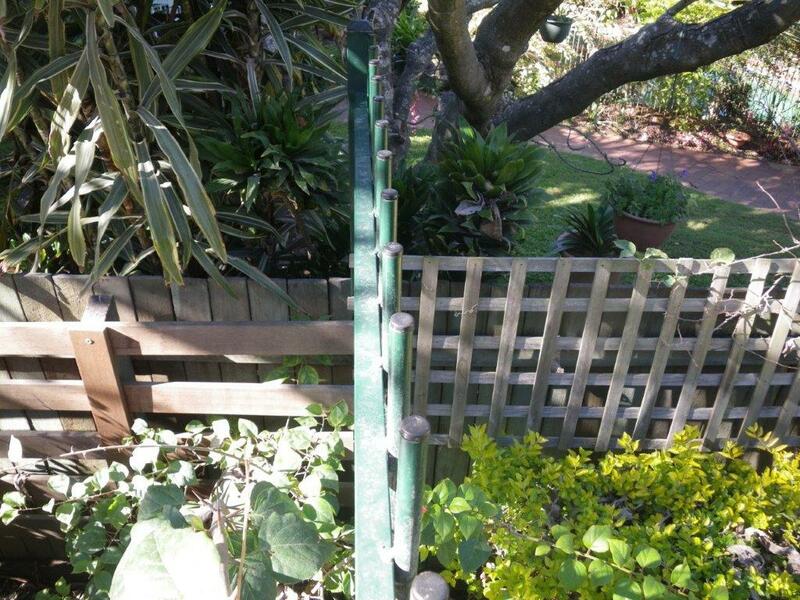 Trellis makes a good ladder too! 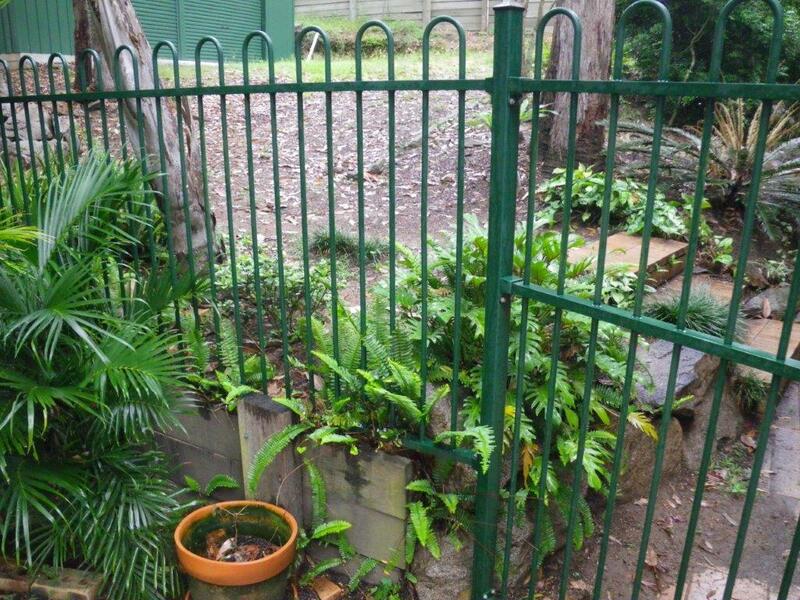 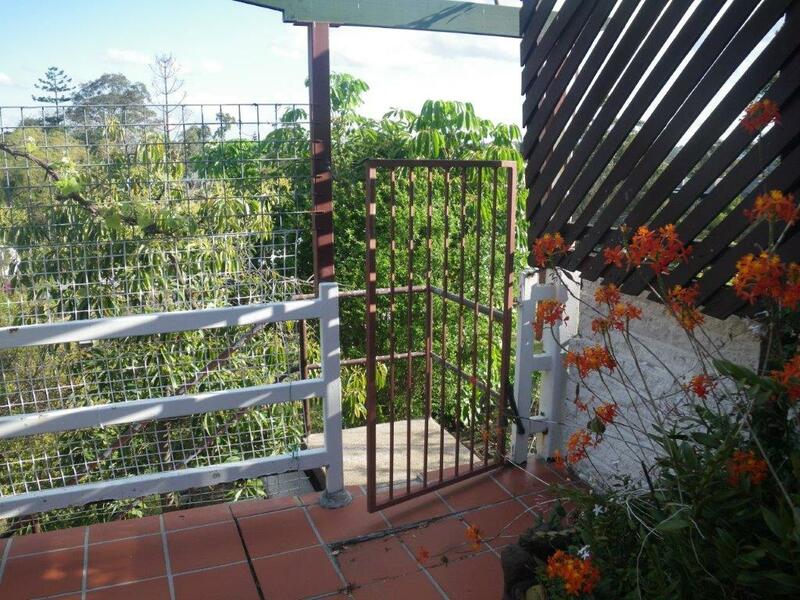 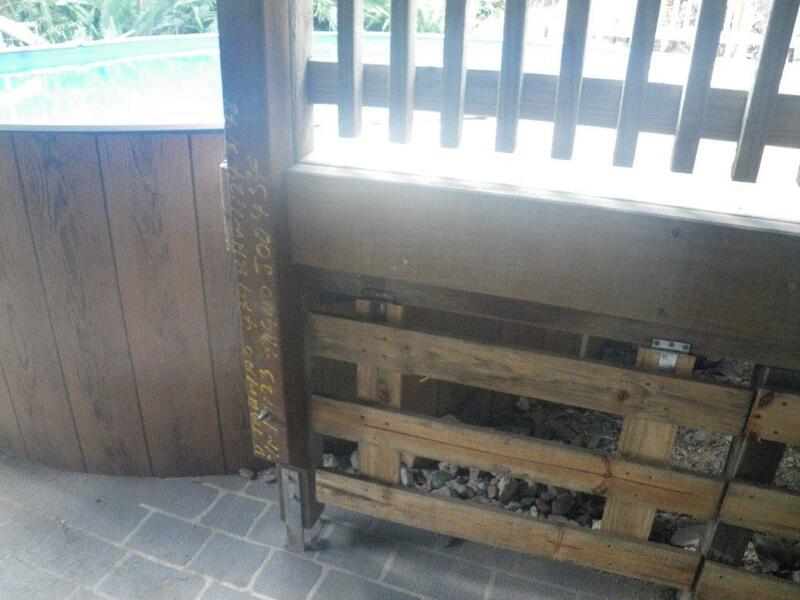 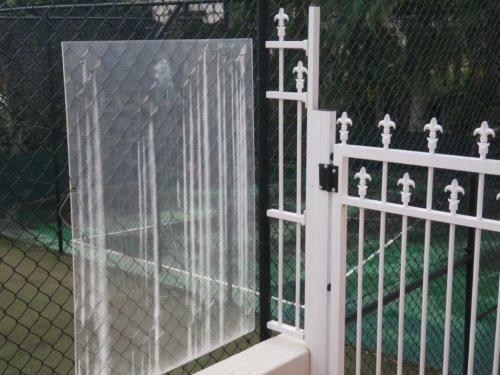 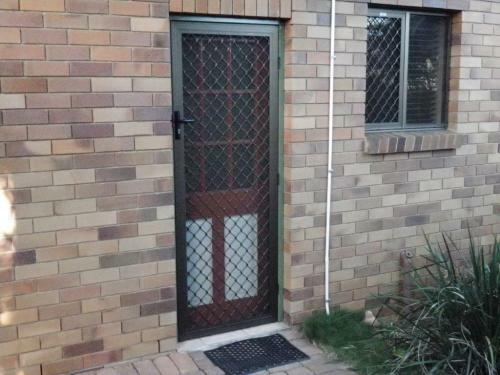 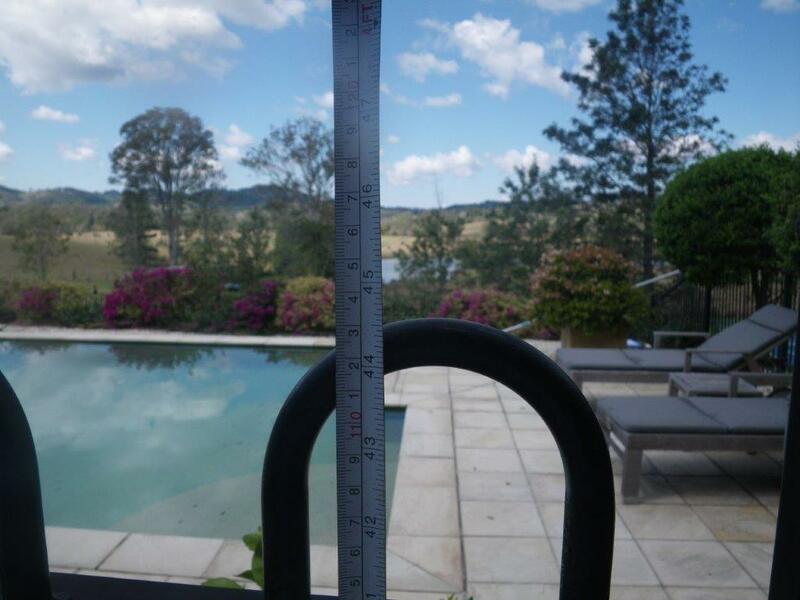 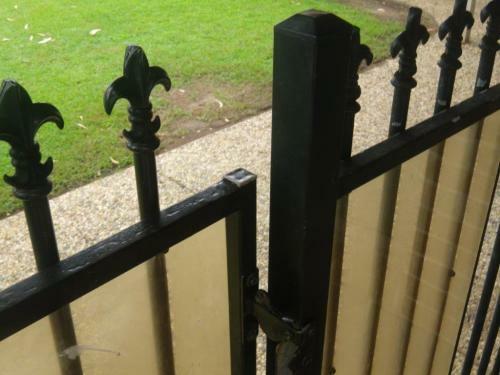 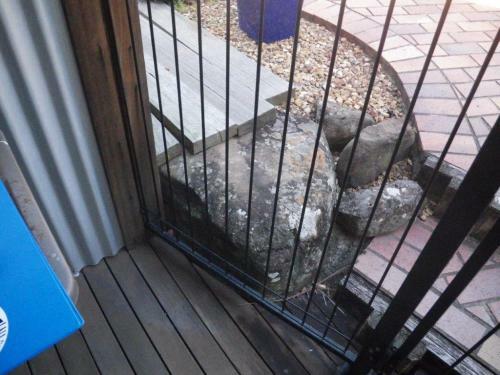 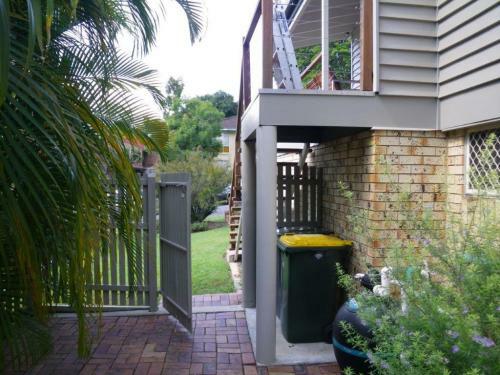 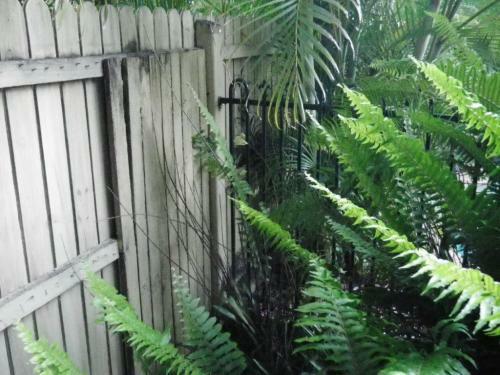 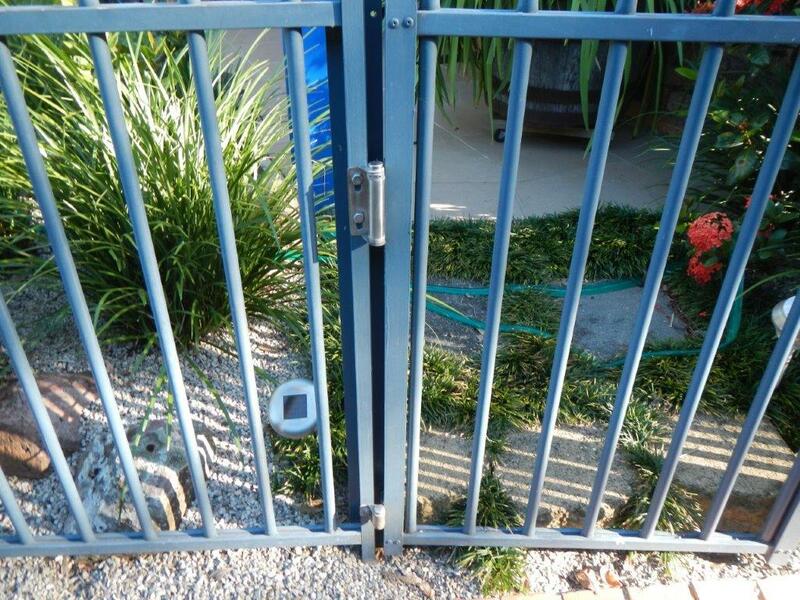 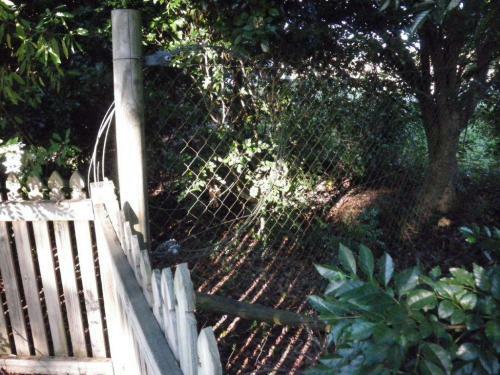 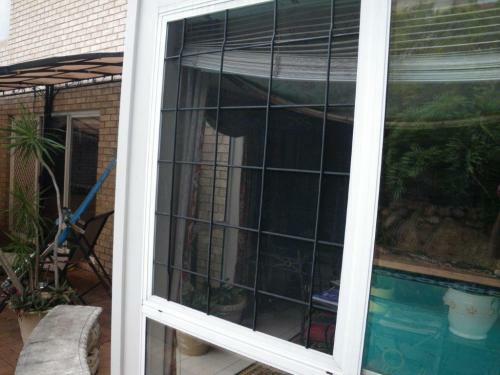 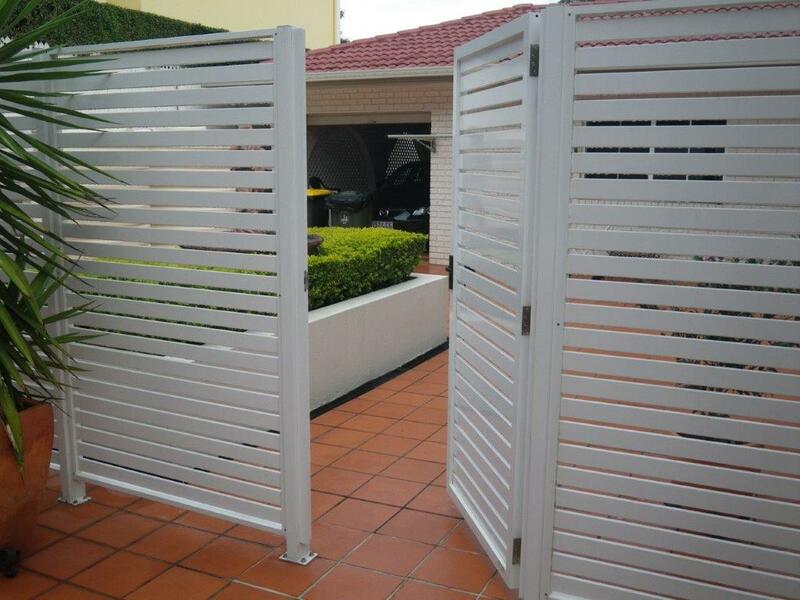 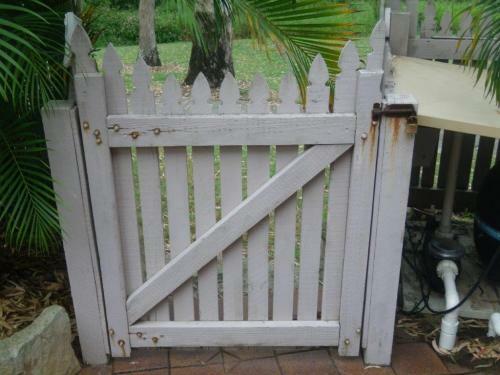 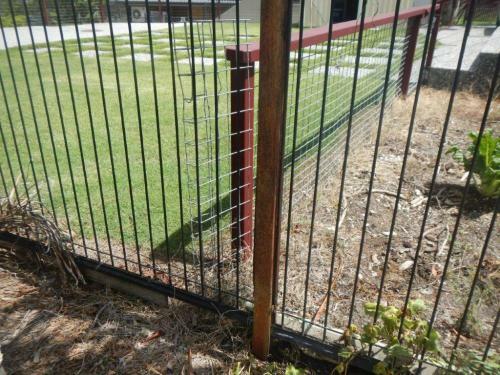 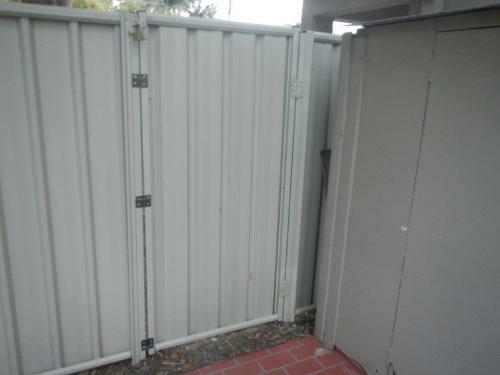 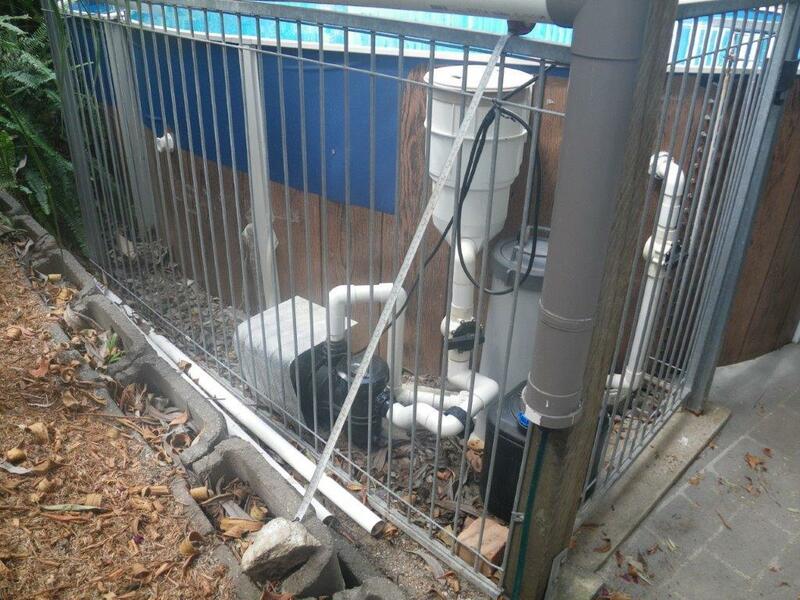 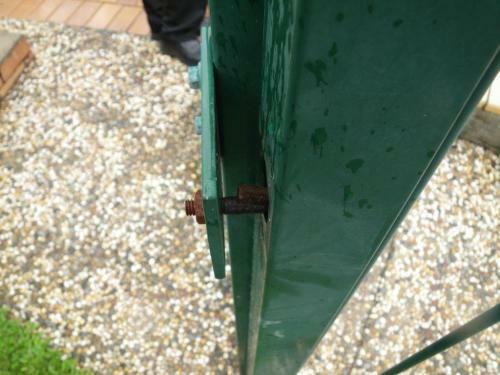 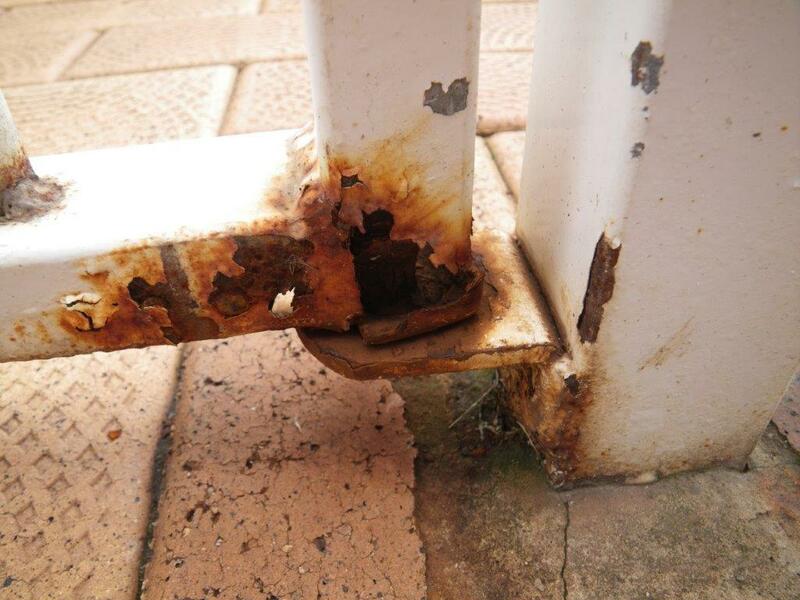 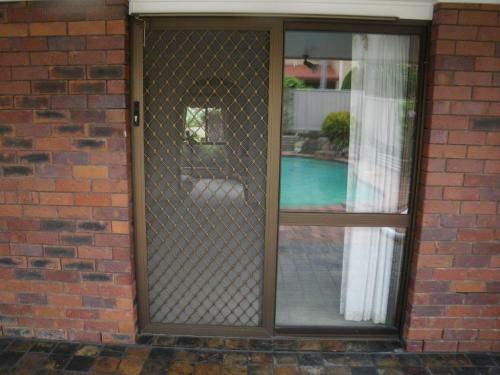 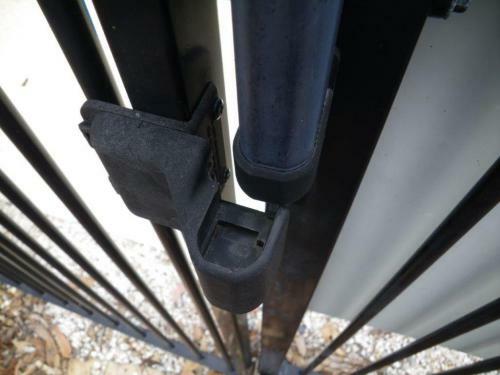 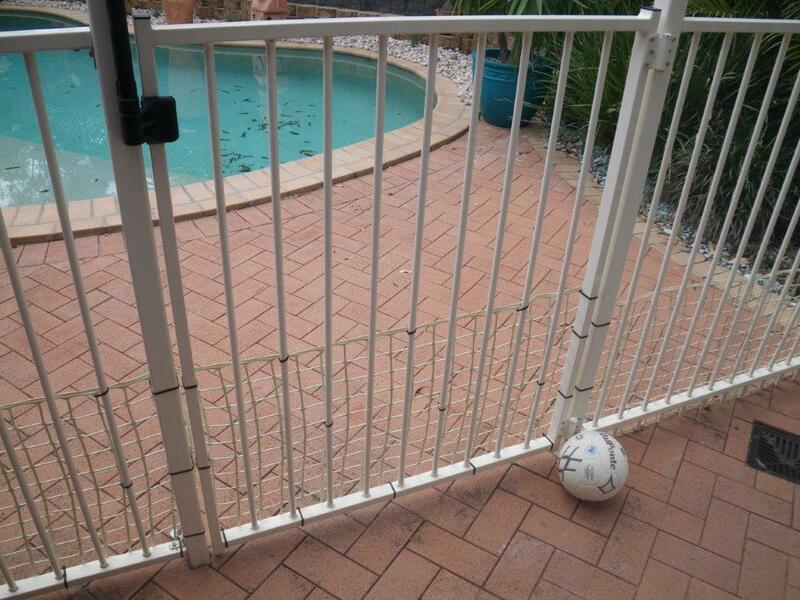 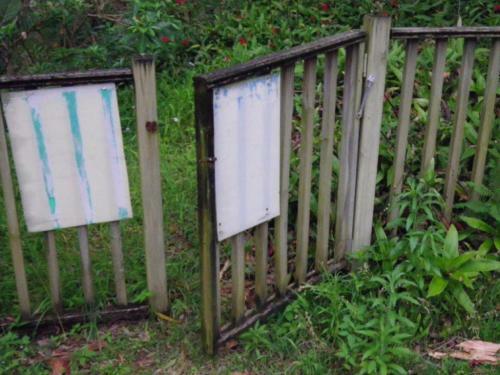 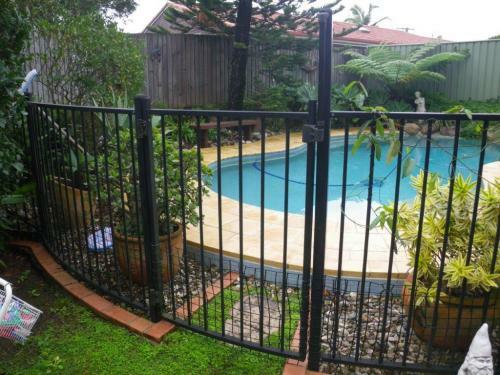 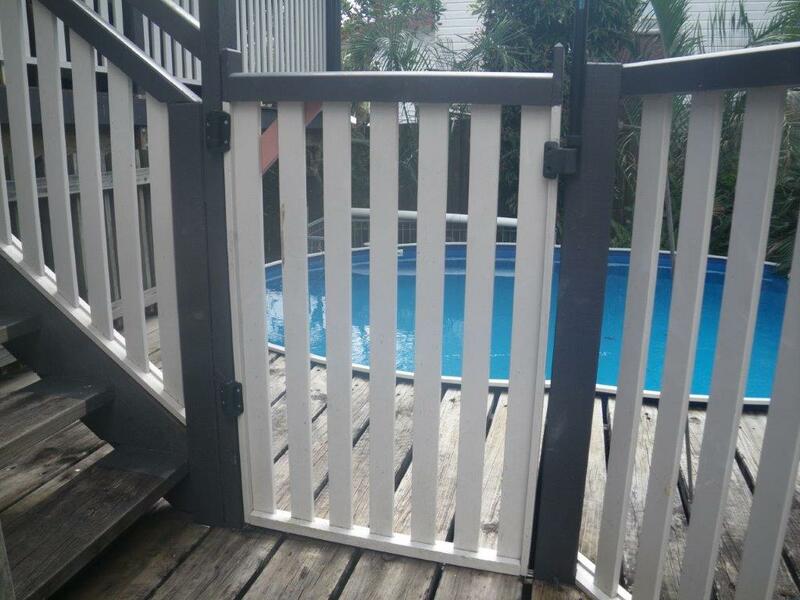 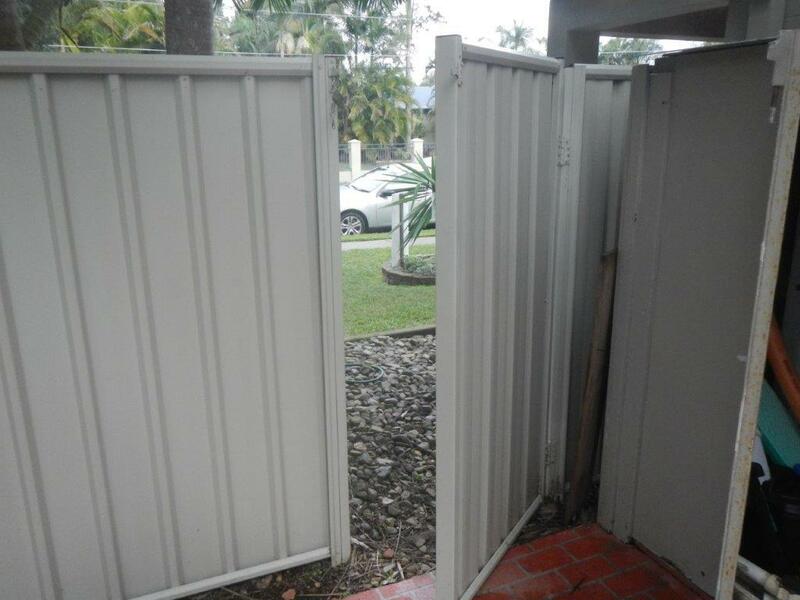 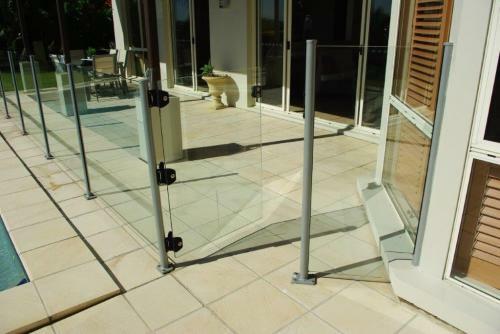 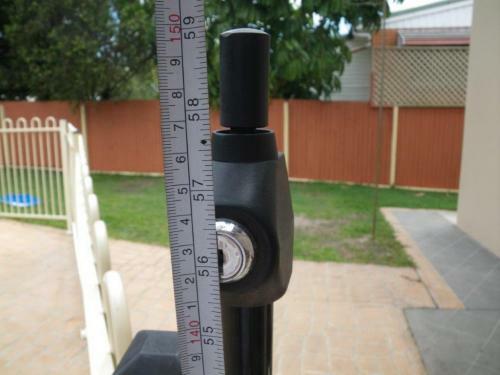 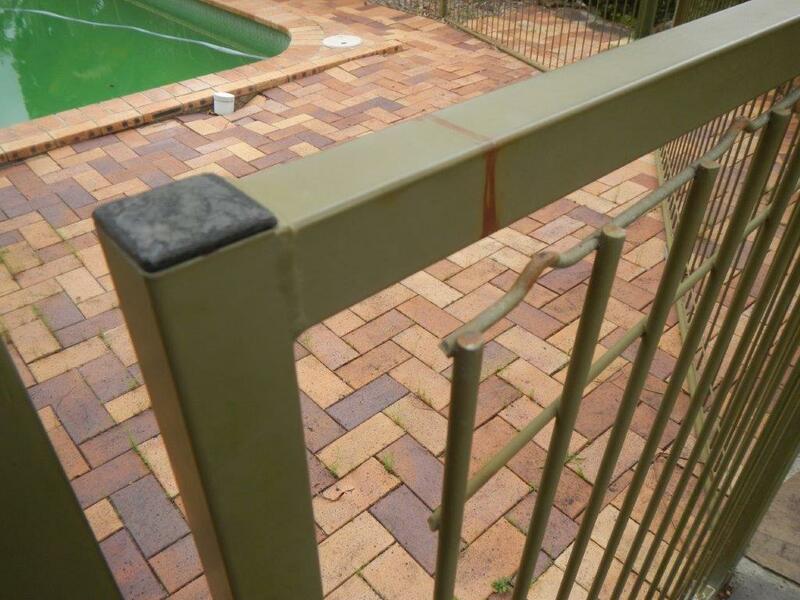 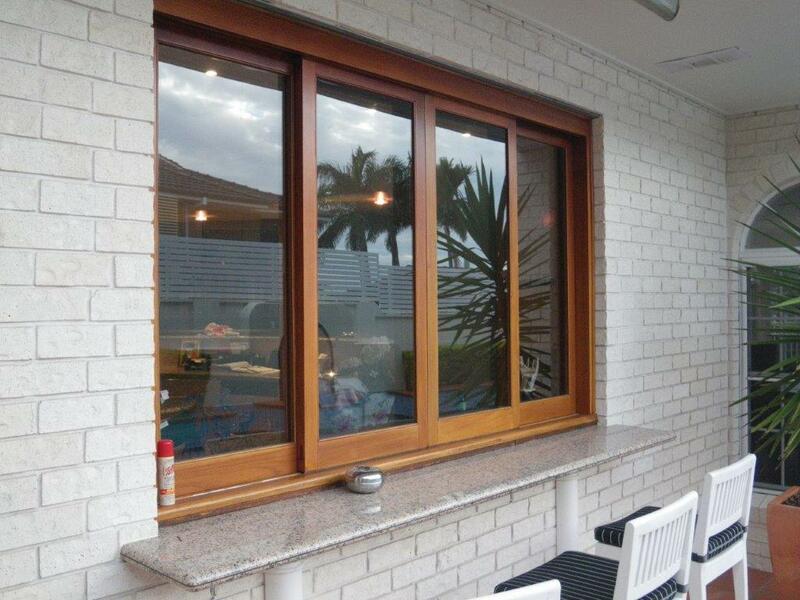 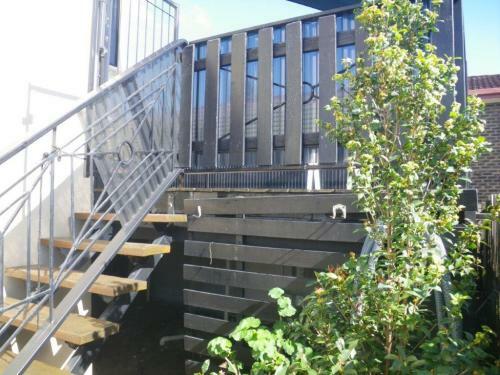 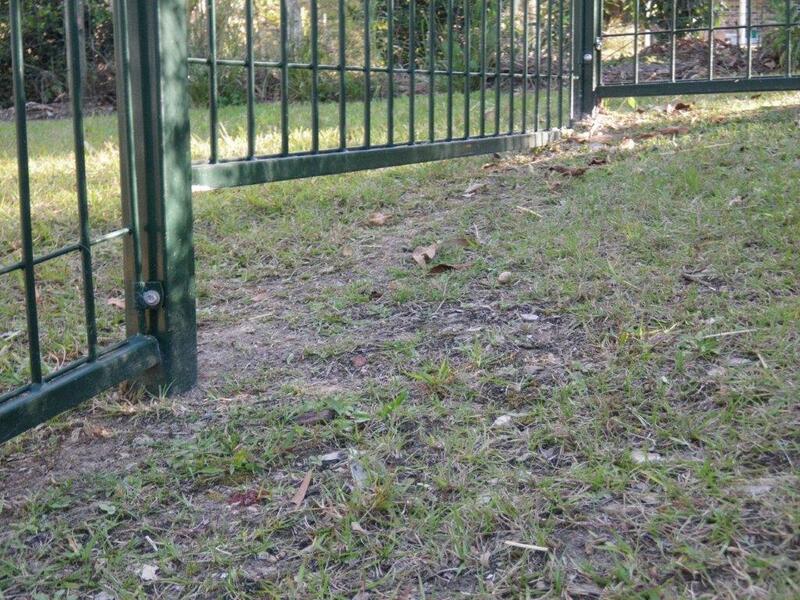 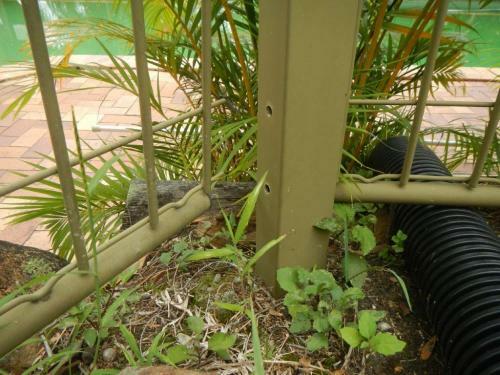 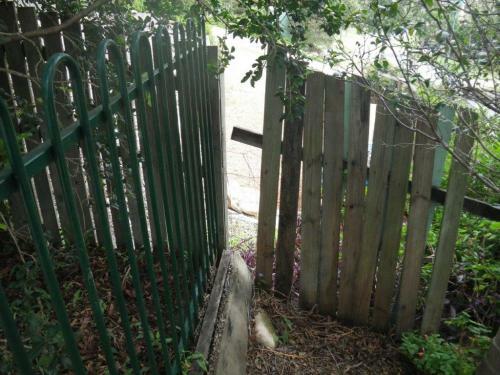 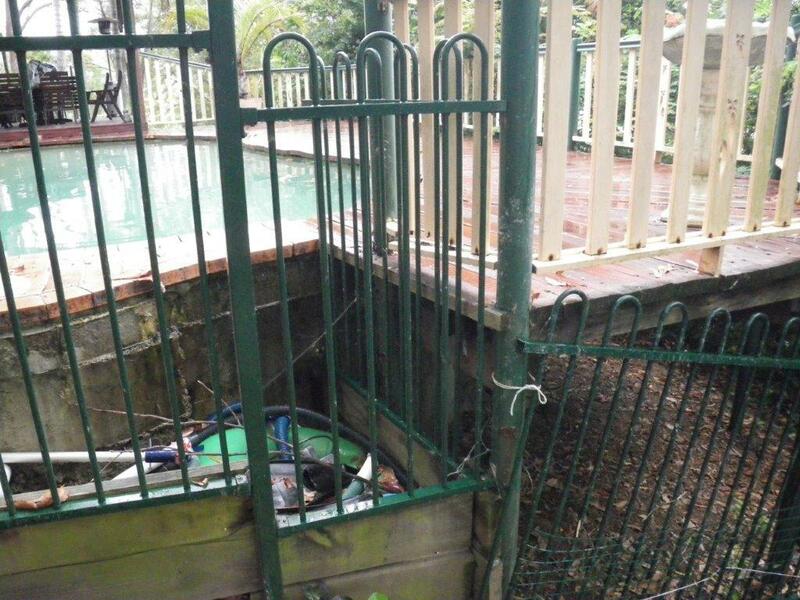 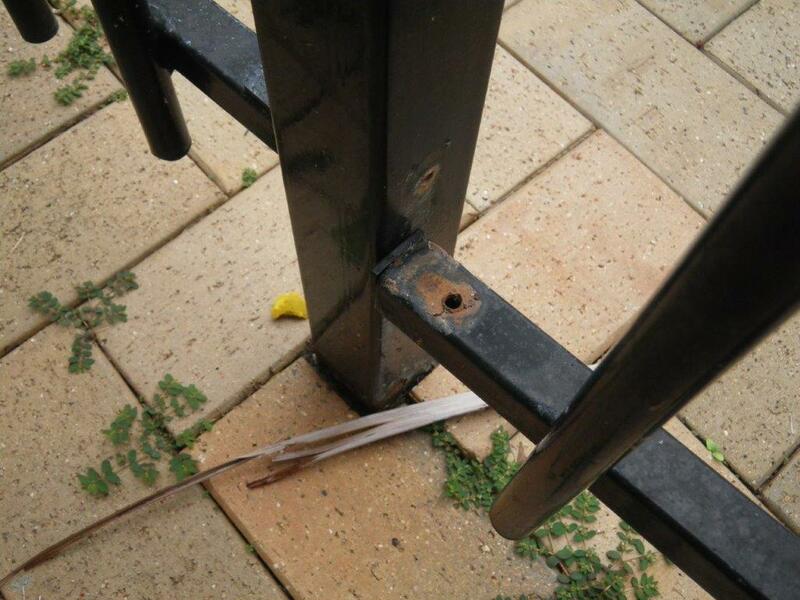 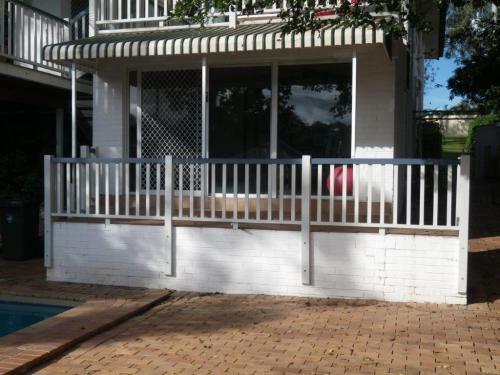 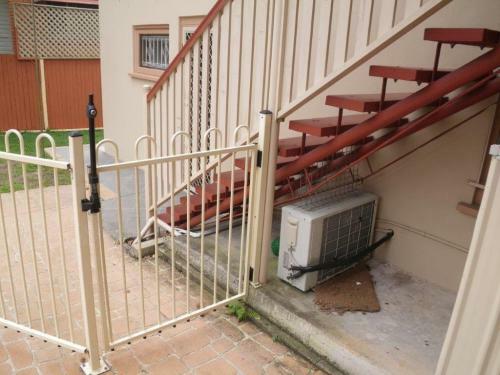 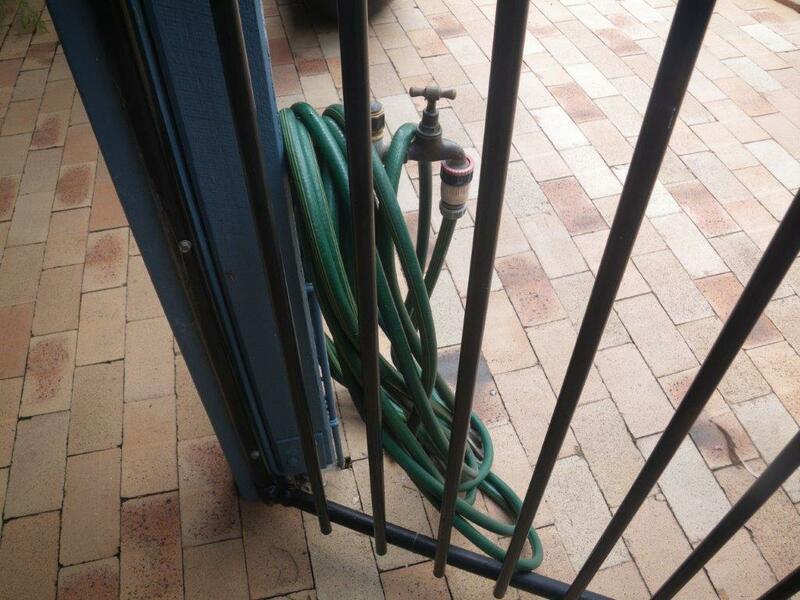 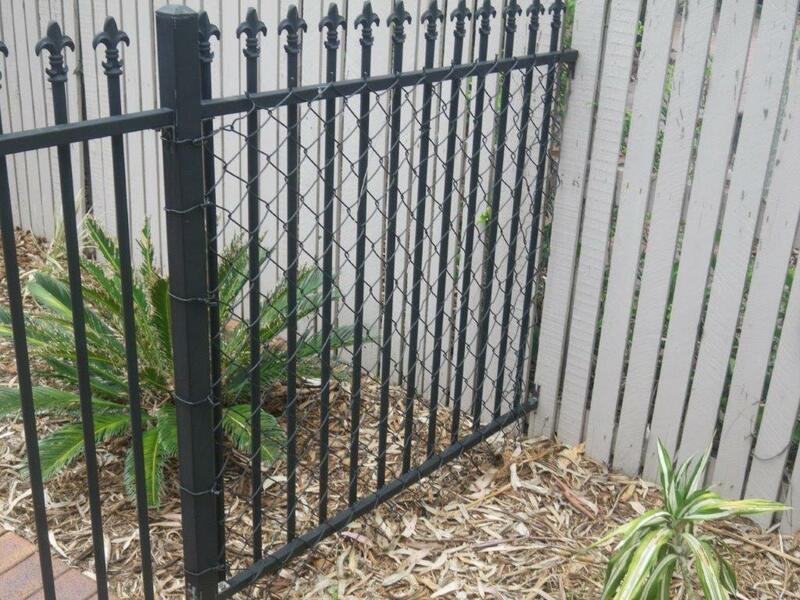 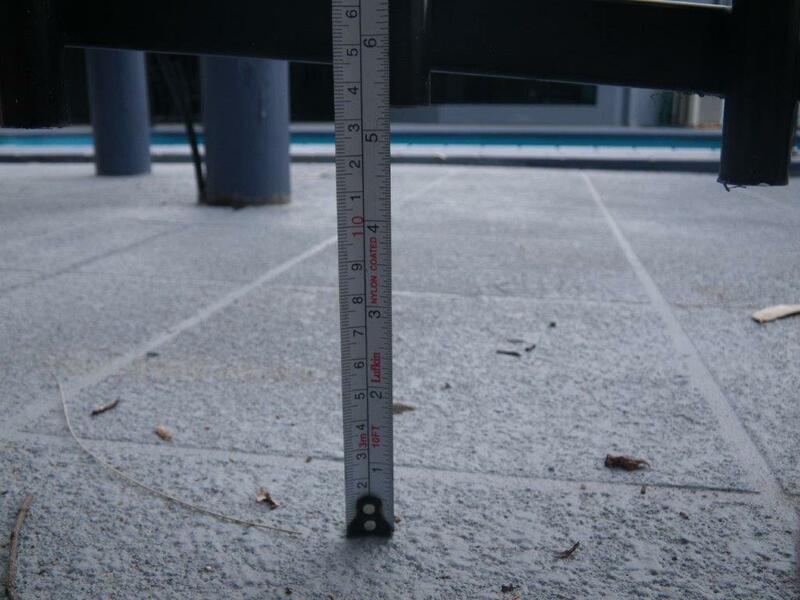 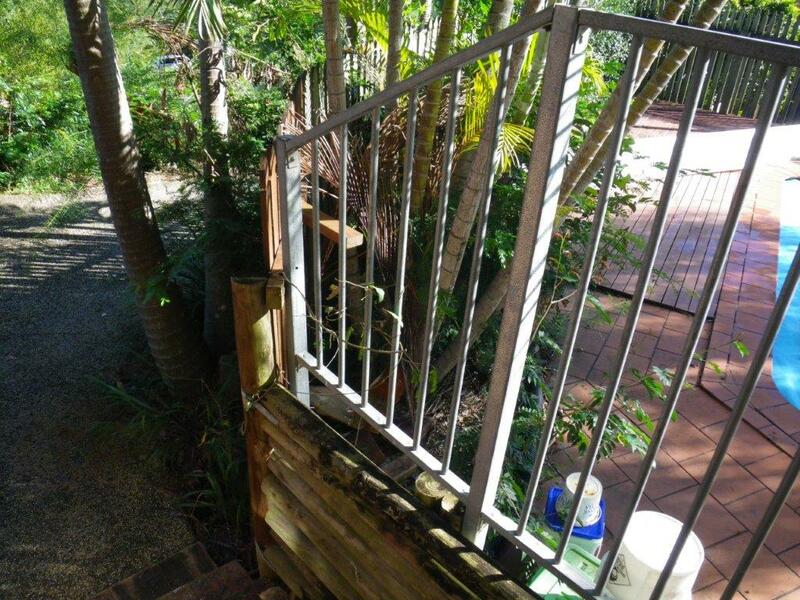 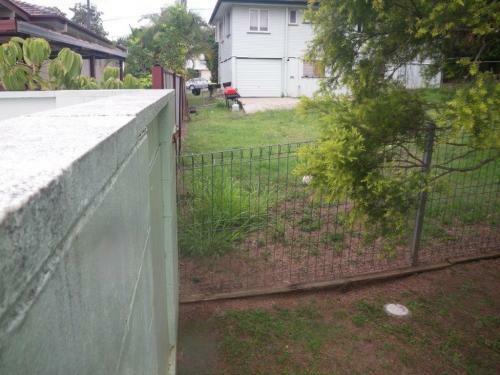 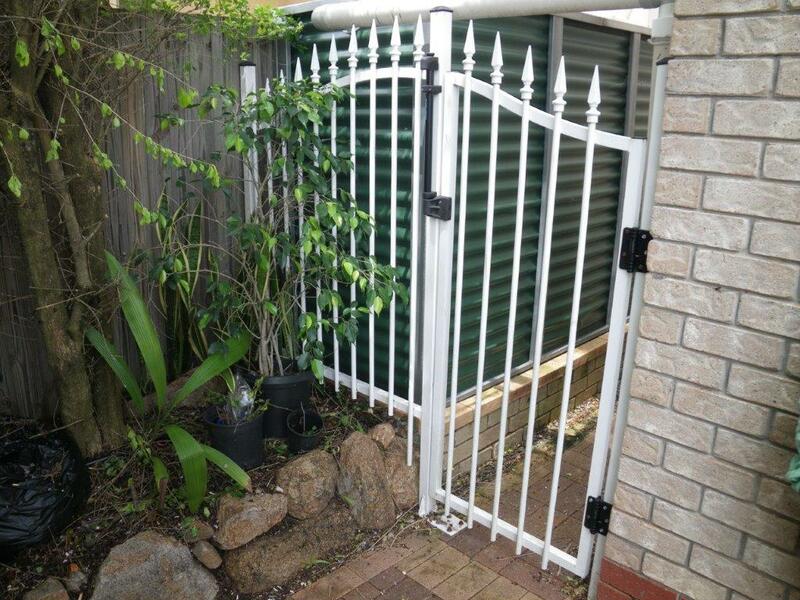 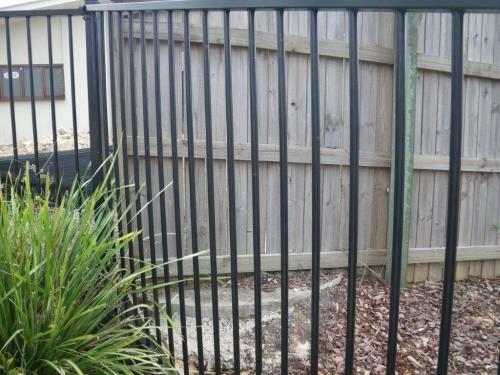 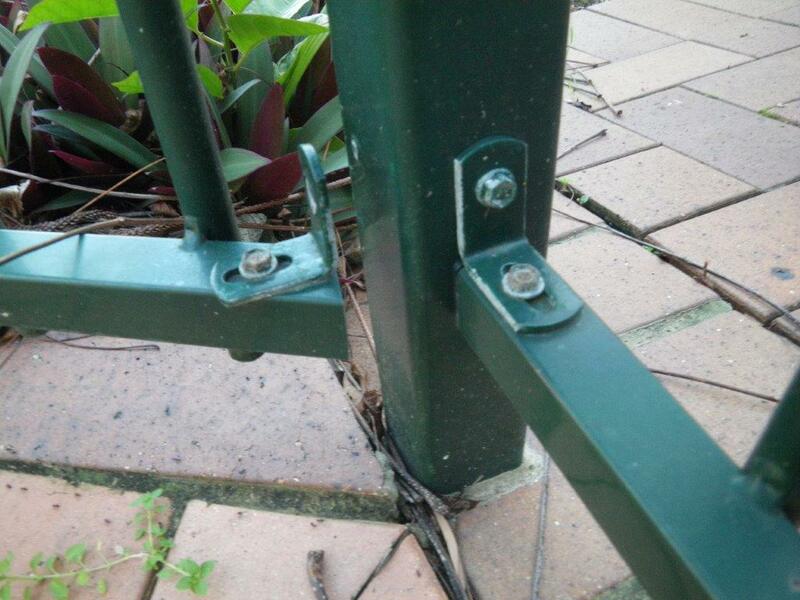 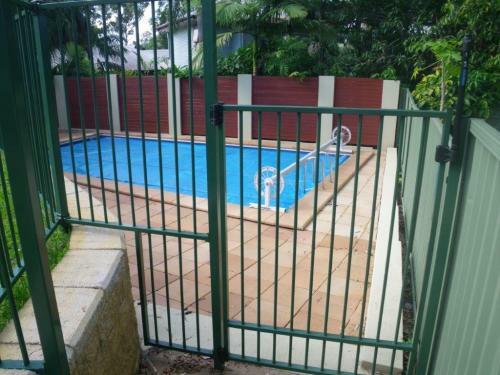 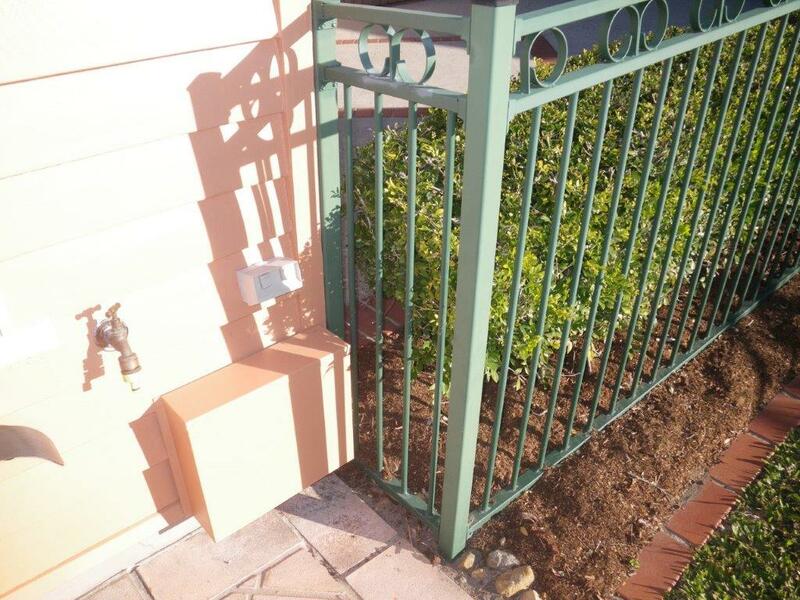 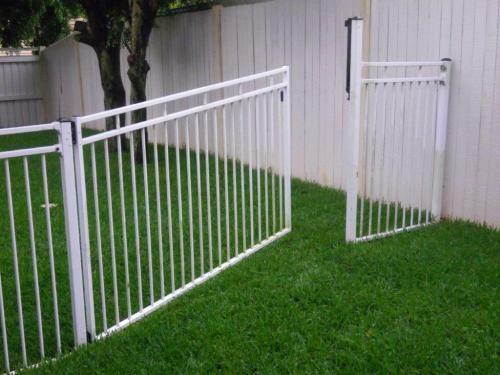 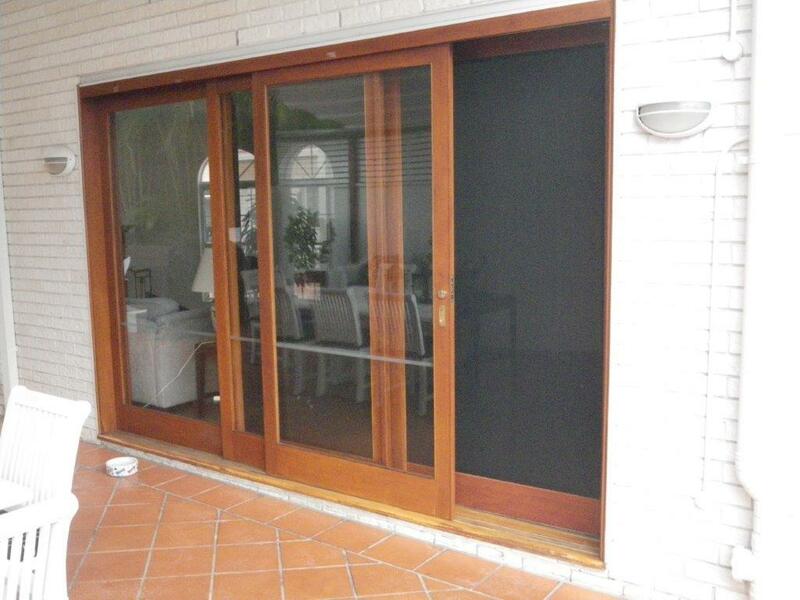 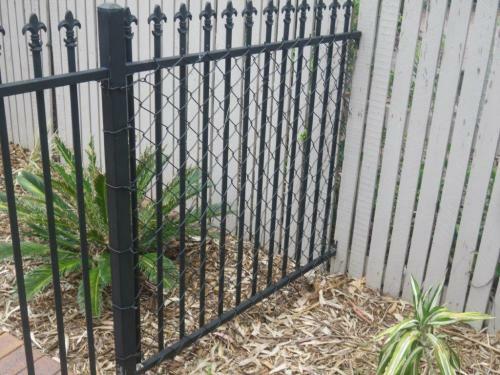 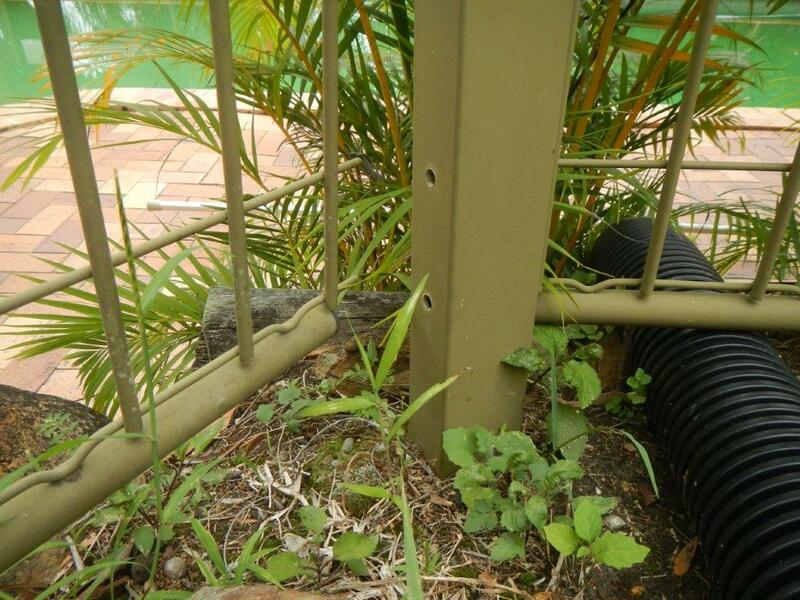 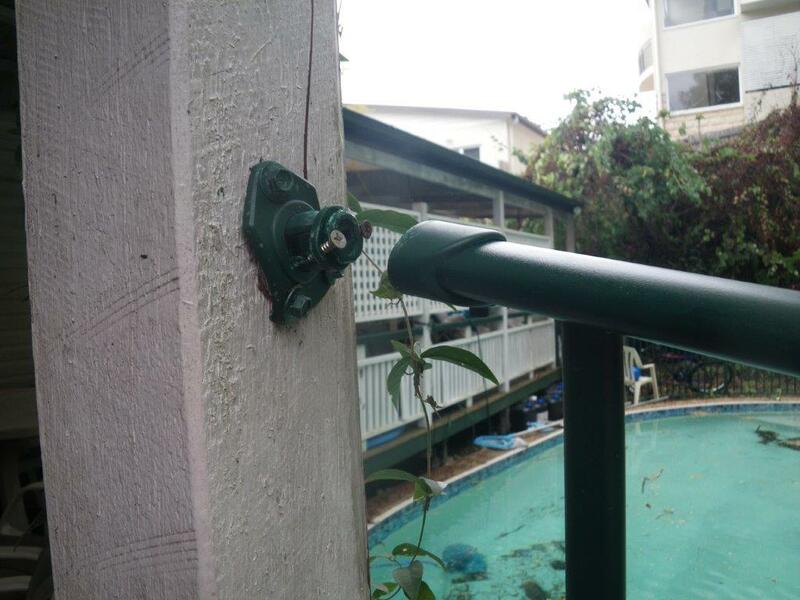 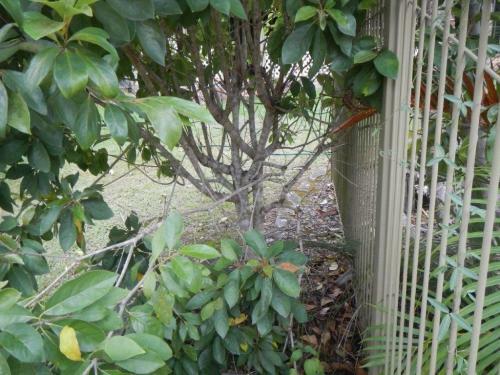 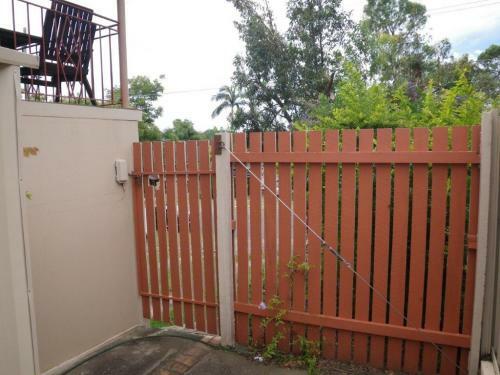 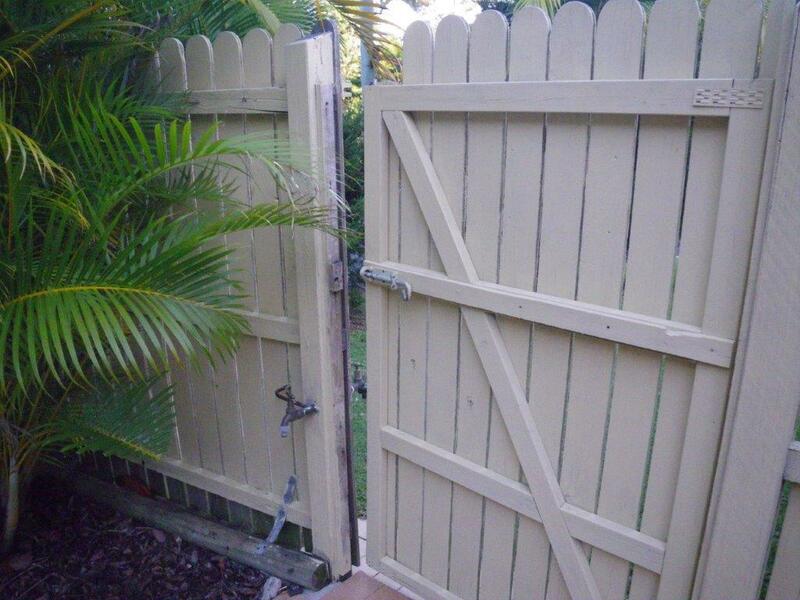 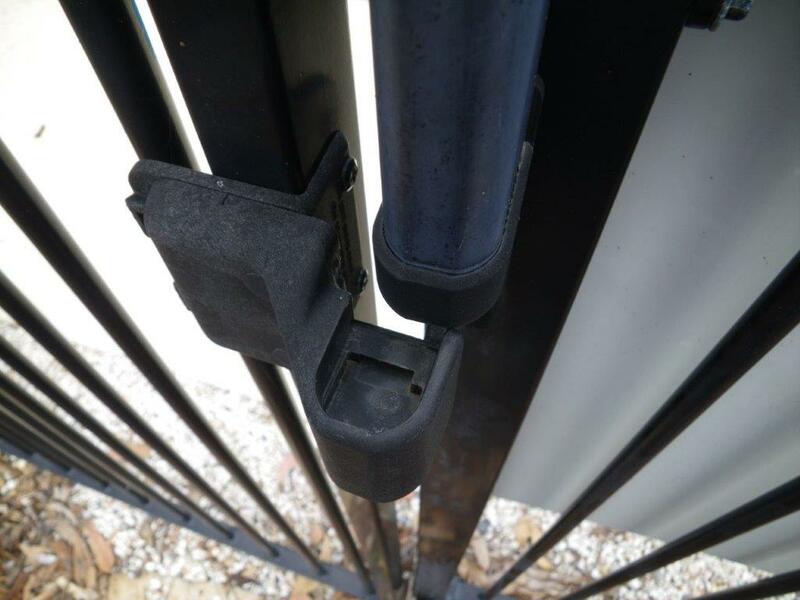 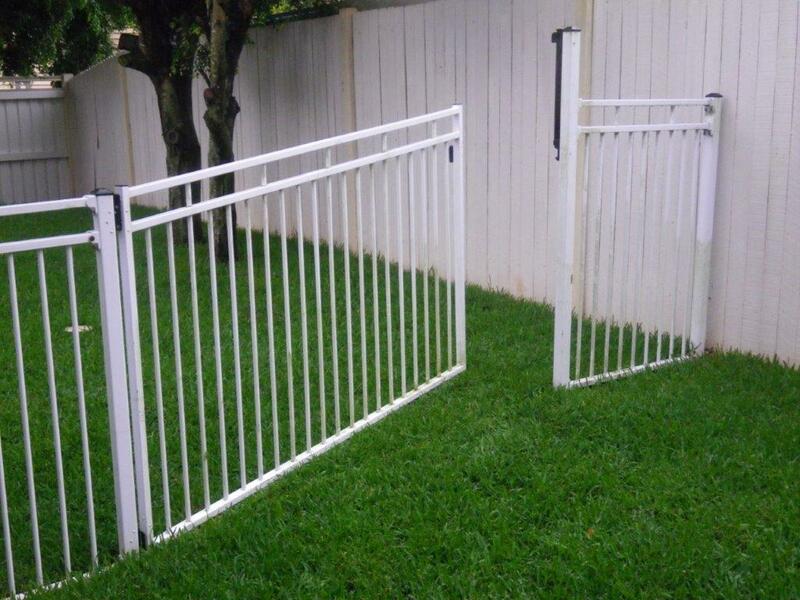 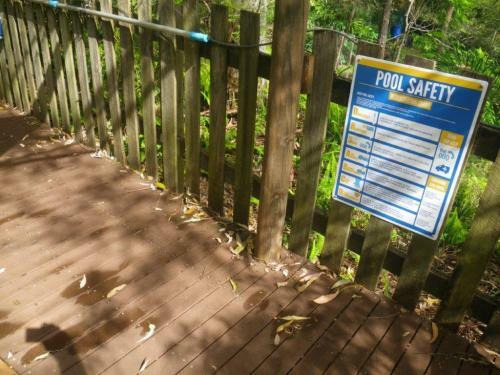 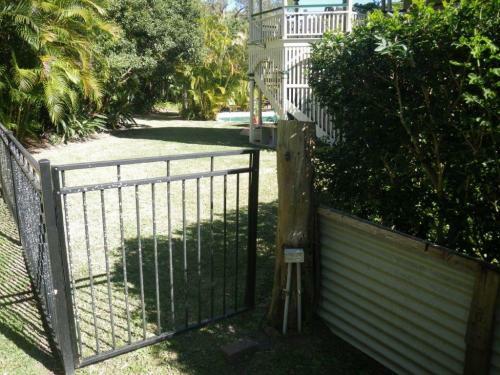 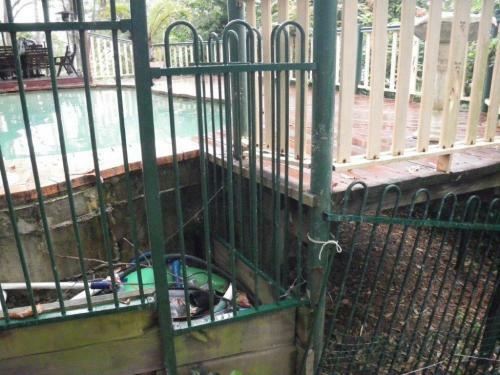 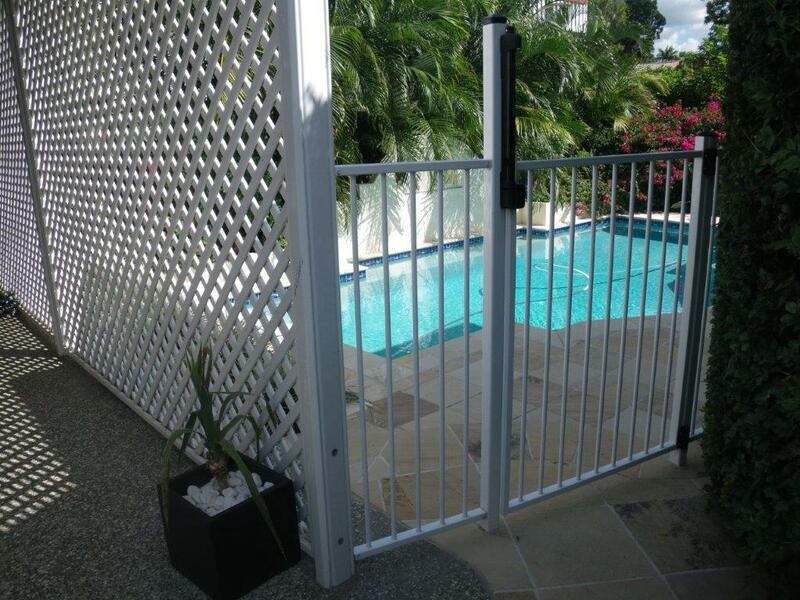 Yet another non-compliant gate between the street & the pool zone which is secured only with a barrel bolt & a padlock – note the climbable 45 degree adjustable brace & the vertical gaps between the palings which exceed the maximum allowable gap of 10mm.